Overview presented by Executive Director of ECPAT followed by a panel of our industry’s corporate leaders sharing stories of how they got involved, what their associates are doing, and how you can join the effort. We will also hear from survivor Shanifa Bennett with her incredible story. Robin Carter - Atlas Travel & Technology Group, Inc.
Join industry colleagues at our first SITE Northeast Young Leaders event of the year at the stylish Refinery Rooftop! If you are 35 and under, or young at heart, come enjoy fabulous city views while networking with peers over some delicious food and drinks! *Rain, snow or shine, as the rooftop is enclosed! ​What Keeps Meeting Planners Up at Night? 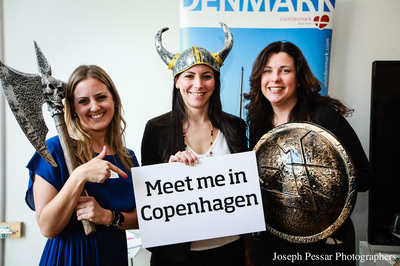 In 2012 Development Counsellors International (DCI) set out to provide destination marketers with best practices for attracting business events from the "customers" of the meeting industry: meeting planners. 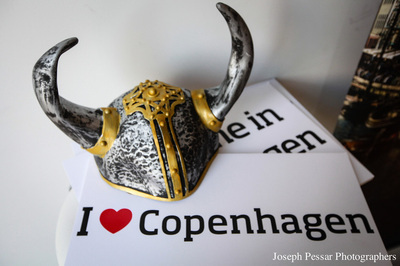 This comprehensive study was the first of its kind when it debuted six years ago. 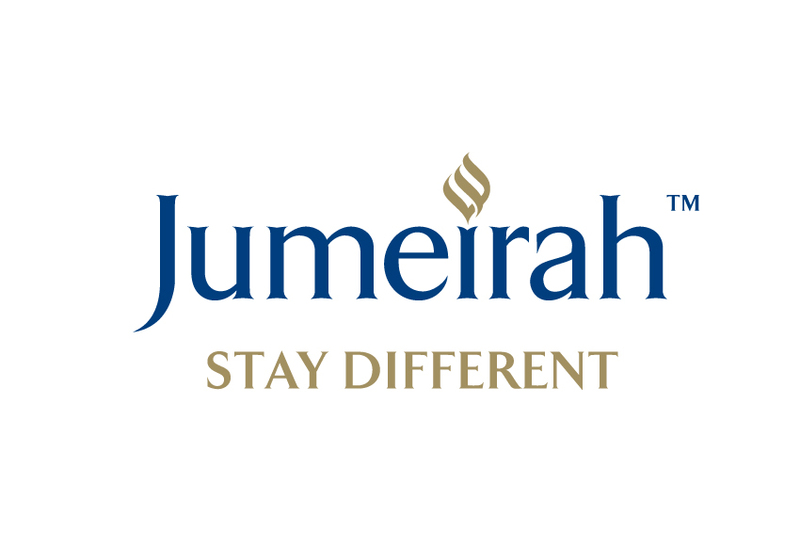 Now in its third edition, it has evolved just as much as the meetings and incentives industry over the last six years. Today the business events industry faces potential new challenges that can cause contradictions to strong growth, and with this in mind we have created an event that will give us more insight into "What Keeps Meeting Planners Up at Night". Join us for a candid discussion on top stresses experienced by meeting planners and ways in which we can overcome the challenges they bring. 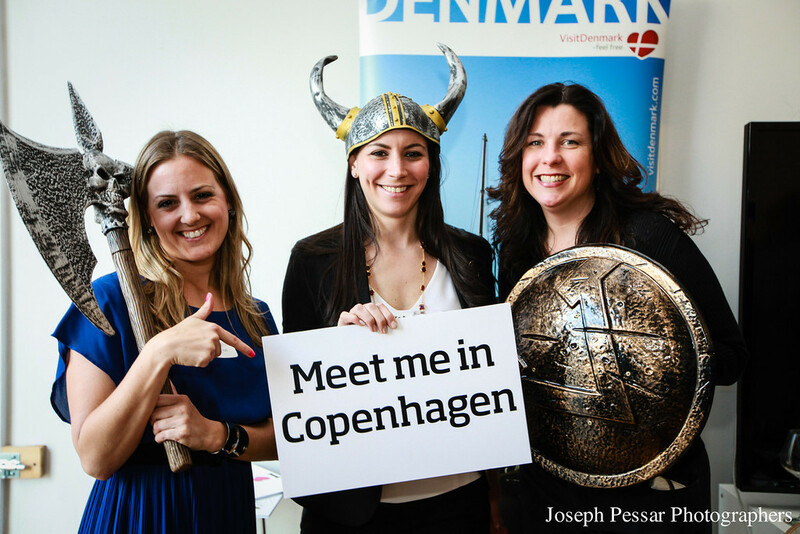 If you are a meeting planner come and share your own story with us. ​Event Special! Complimentary Headshots will be available at the event, courtesy of Simon Pro Photo! Nestled in the Canadian Rockies, in one of the country’s most renowned national parks, you will find an absolute treasure: the destinations of Banff and Lake Louise. 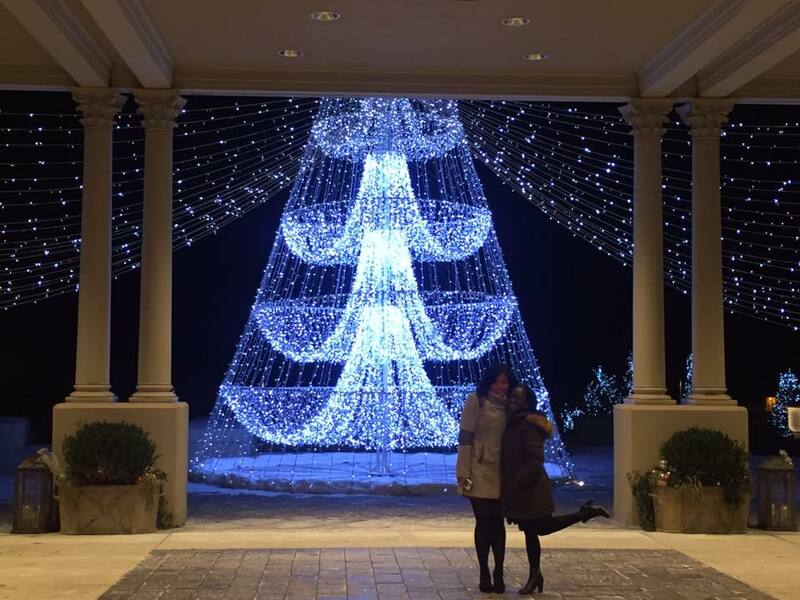 Here guests enjoyed overnight accommodation at the Fairmont Banff Springs and Fairmont Lake Louise. Few hotels in the world can rival the majesty, hospitality and scenery of this symbol of Rocky Mountain magnificence. 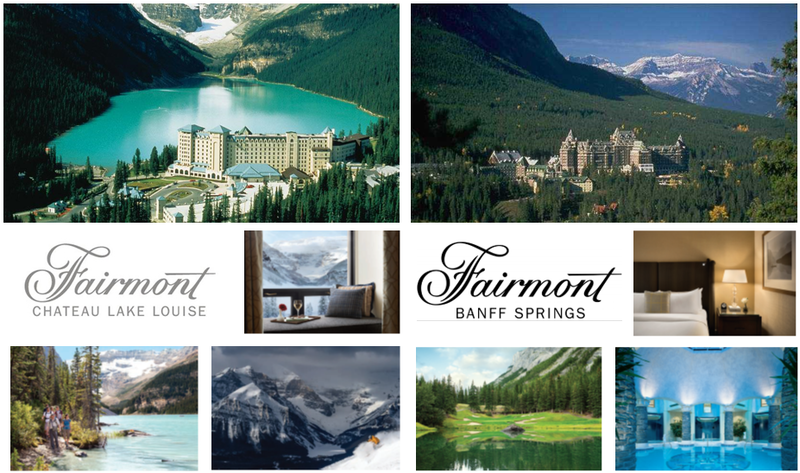 Styled after a Scottish baronial castle, Fairmont Banff Springs offers stunning vistas, championship golf courses, unparalleled skiing, modern cuisine and a world-class, European-style spa - as well as Canada’s most diverse and extensive resort meeting facilities. Add in sumptuous dining options and the rejuvenating experience of their full-service spa, and you’ll find a perfect balance of timeless elegance in the rugged Canadian wilderness. Drones are all the rage – have you considered using drones for your events? Come learn about very specialized (indoor drones) that bring the entertainment sizzle and wow factor that blow away your audience. 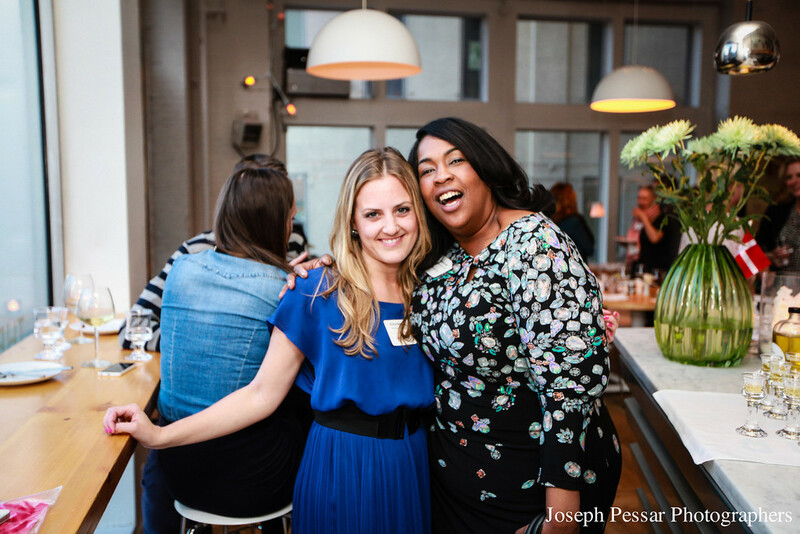 SITE Members joined together for a very special pop-up educational event at Contra Studios on Tuesday, August 28th. 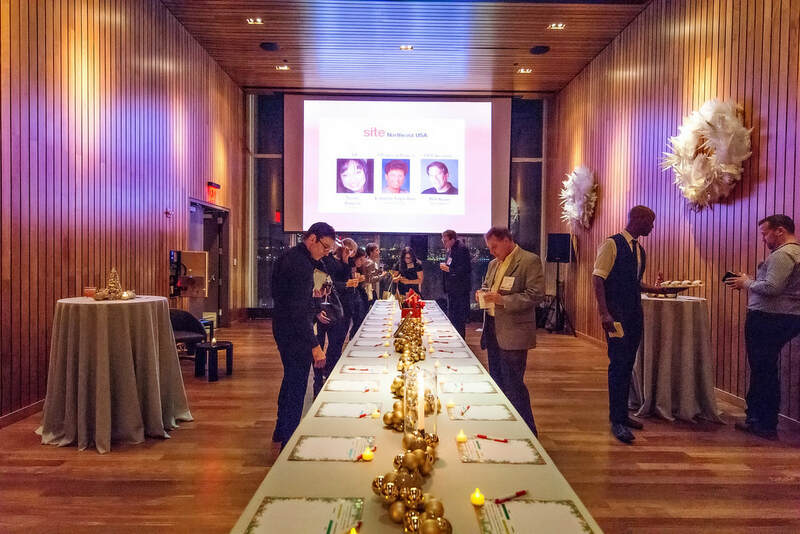 SITE Northeast USA members as well as our expert speaker Raffaello D'Andrea, Founder of Verity Studios, shared how they enhance their clients' events with amazing Lucie micro drones – that bring the kind of live performance you usually only see on television. 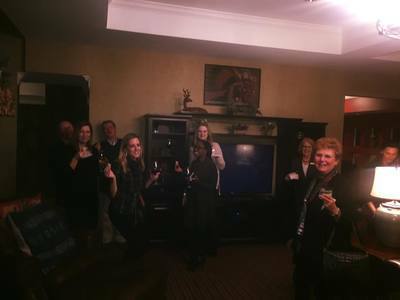 Guests learned how your company can add an immersive drone show to your future offerings and get answers to any questions you have about indoor drone entertainment. 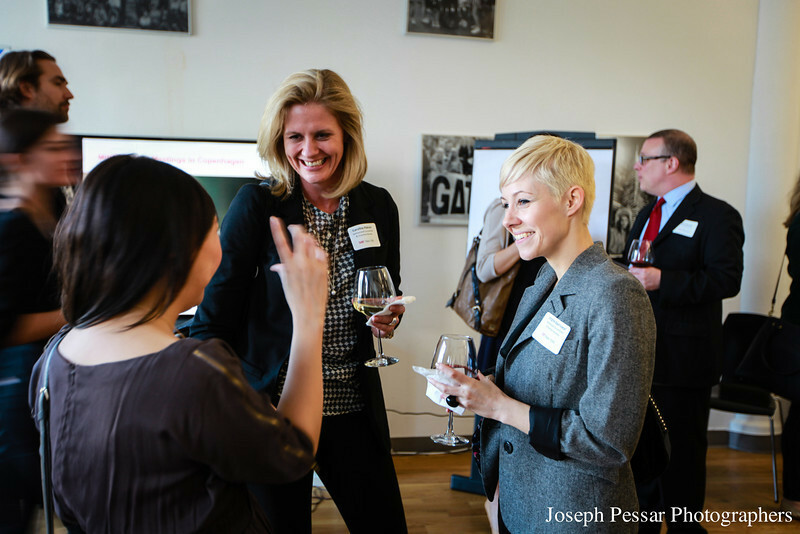 There were tasty appetizers, great networking, and a dynamic interactive drone display. See a sneak peak here! 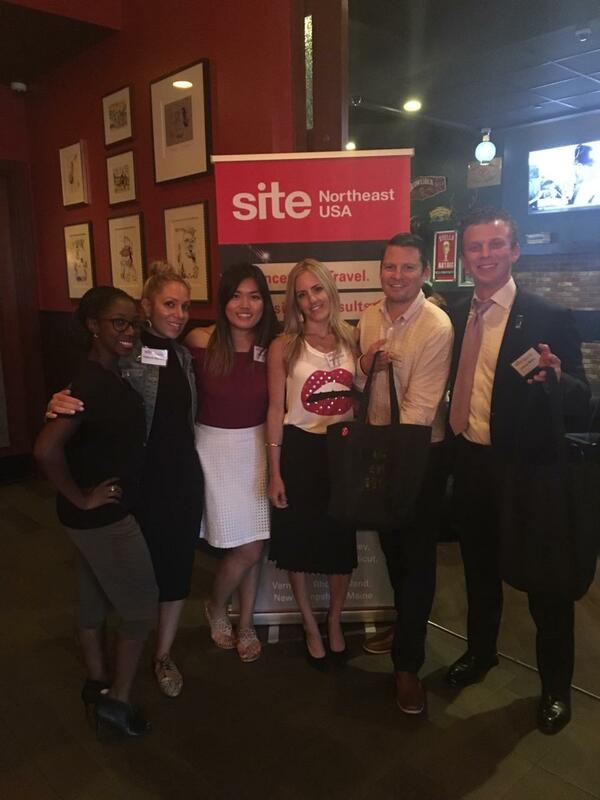 SITE Northeast Young Leaders joined together this July to take on the Empire State Building! 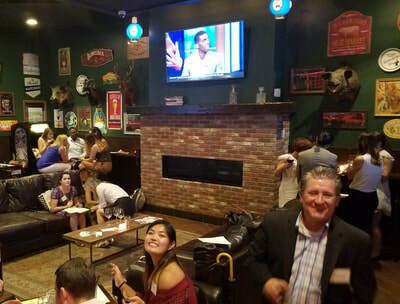 The evening kicked off at STATE Grill and Bar on the ground floor where a friendly game-night ensued. 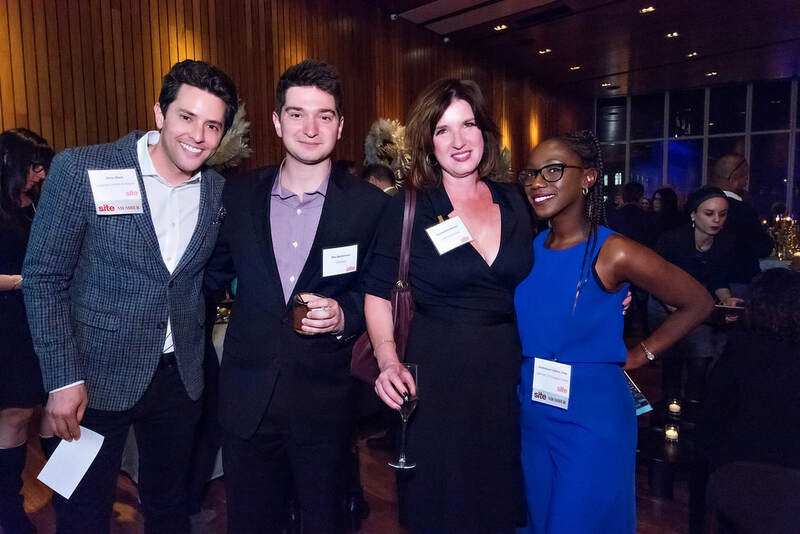 Following, attendees experienced a VIP tour of the back-of-house operations of the Empire State Building before concluding with breathtaking views 86 floors above New York City. 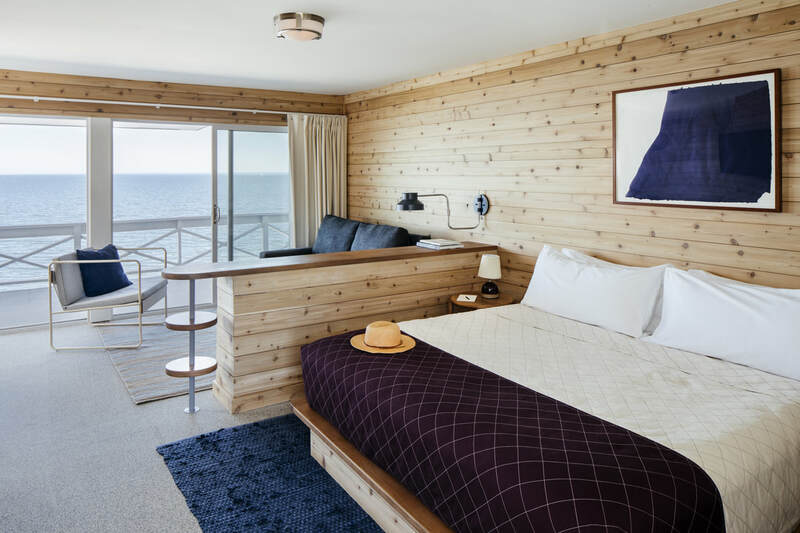 Ideally situated on a private beach overlooking the Long Island Sound, our SITE Unseen at the newly renovated Sound View Greenport will transport you back to a time of simple pleasures: sun and surf just steps away, fresh food flavored by the salt air, and panoramic sunsets over breaking waves. ​Following a welcome lunch & property tour of the Sound View Greenport (renovated summer 2017), a curated afternoon of activities showcased the diversity and incentive offerings of the North Fork of Long Island. 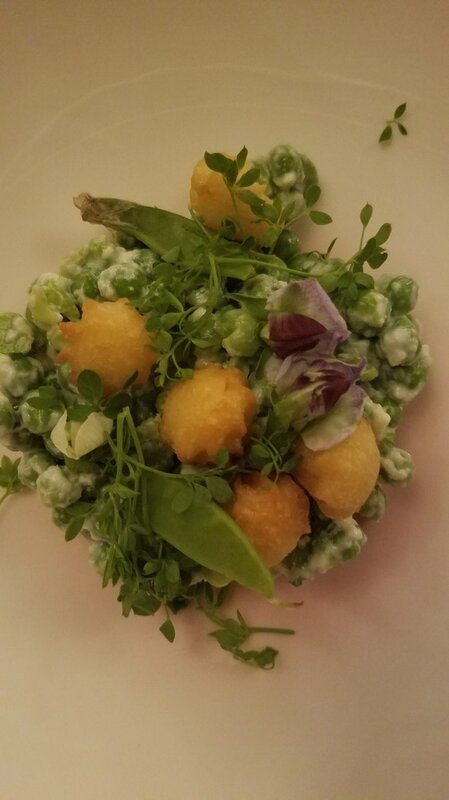 The day concluded over a specially designed dinner at The Halyard Restaurant, helmed by James Beard award winning chef Galen Zamarra and featuring inventive takes on classic dishes using the freshest local ingredients. 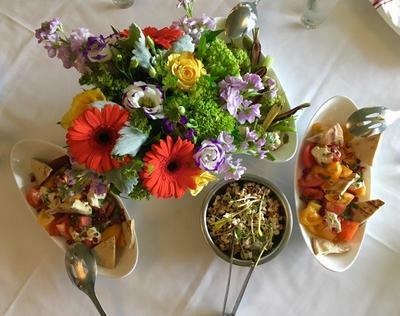 The North Fork is within a short drive of multiple historic villages & shops, several award-winning vineyards, local farms offering freshly picked delights, and 5-star dining experiences, all coming together to create your next ideal incentive destination. SITE Northeast USA was proud to support Global Meetings Industry Day through various events happening across the Northeast during the week of April 9 through 13th, 2018, including events in New York and Philadelphia, PA.
'HOTEL COMMISSIONS: What's the Future? Jan. 24, 2018, marked a turning point for the meetings industry, with Marriott’s announcement that commissions paid to third parties would be reduced from 10 to 7 percent. That action sparked strong reactions from planners and suppliers, who are grappling to answer some looming questions about the future of our business: Is the commission model dead (or dying)? 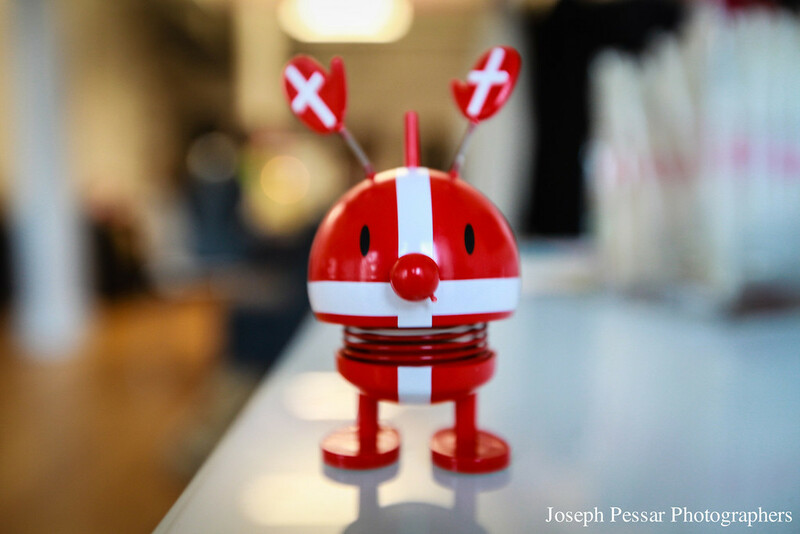 Are current revenue models fundamentally flawed? 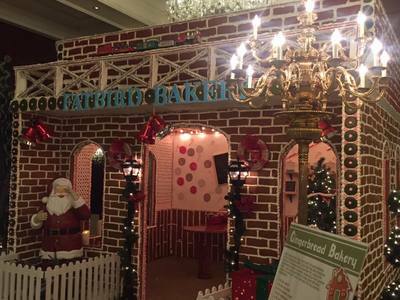 What will this change mean for corporate meetings departments? 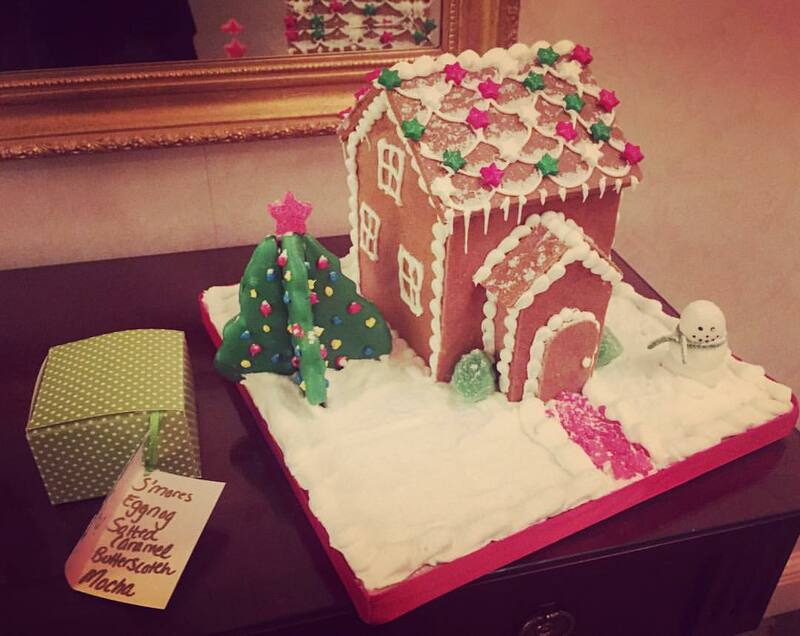 Will other hotels follow suit — or up the ante to win market share? And is 7 percent commission just an interim step on the road to zero? Hospitality Professionals joined the discussion at SITE Northeast’s meeting in Boston as Moderator Loren Edelstein, Editor in Chief of Meetings & Conventions, presented new and exclusive research on the industry’s reaction, and led an insightful Q&A with renowned legal expert Jonathan Howe; independent planner David Landgraf, who spent the previous 11 years managing global conferences for Blackstone before launching his business this past January; and Hotel industry leader and Past SITE NE President, Matt Davis with Omni will represent the Hotel perspective. 75 event professionals joined SITE Northeast Chapter on Sunday, 25th February for a care-packing session in conjunction with SMU International/Northstar Travel Group to support ECPAT (www.ecpatusa.org), by providing much needed toiletry supplies and materials for child survivors of sexual exploitation as well as to magnify and promote ECPAT and its mission. The activity kicked-off with a networking welcome followed by gathering and arranging all donations to create our care packages, included hand-written cards of encouragements to victims. 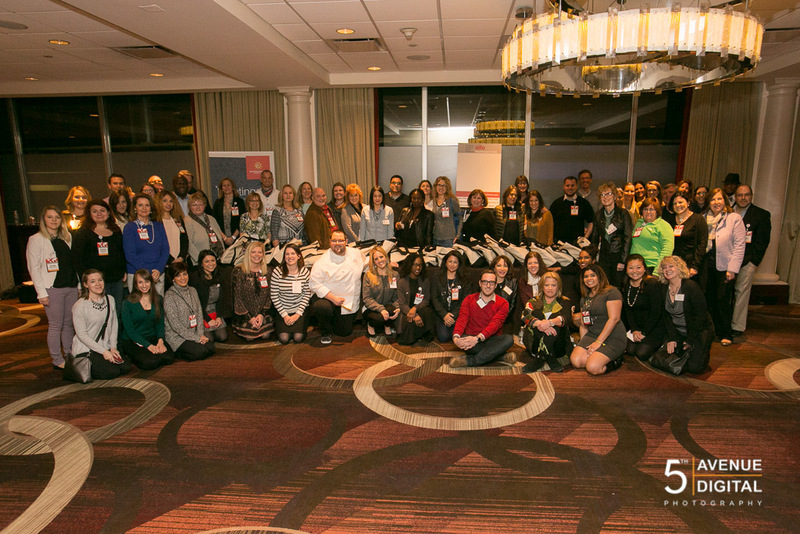 On Thursday, January 25th, over 70+ incentive travel professionals convened at the iconic Carmine's Italian Restaurant in the heart of Times Square in New York City. 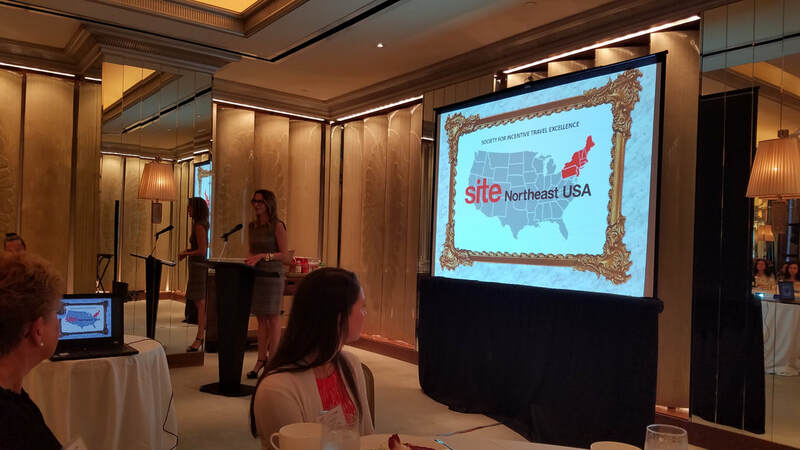 This was the inaugural event in 2018 by SITE Northeast that featured an in-depth look into the SITE Index, powered by the SITE Foundation and presented by the foundations' president, John Iannini, CTC, CIS. 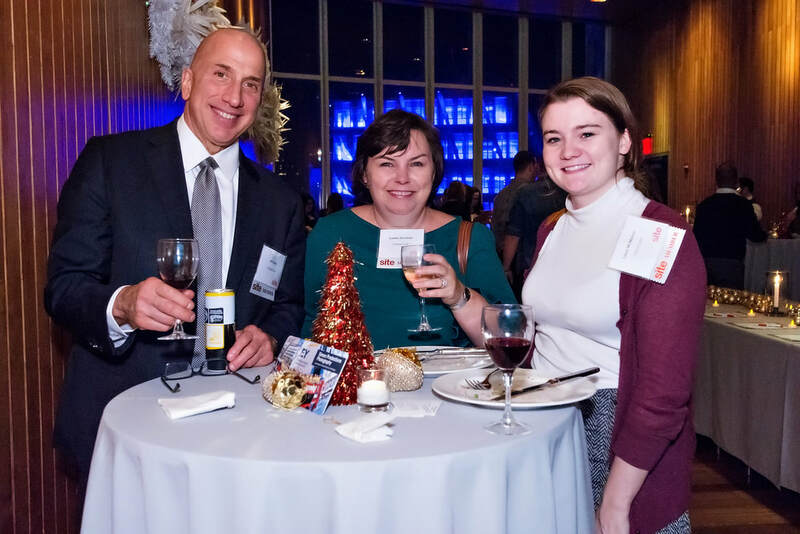 John pinpointed the key elements driving the incentive travel industry and gave attendees an insight as to what to expect for 2018. 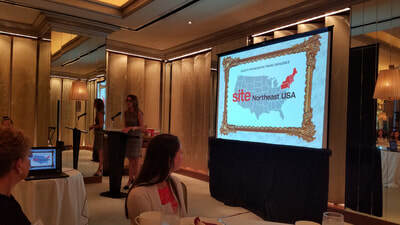 Attendees were also introduced to the new 2018 SITE Northeast Board Slate, with a turnover of presidency from Dominique Lahens, CMP to Greg Byrnes, CIS. 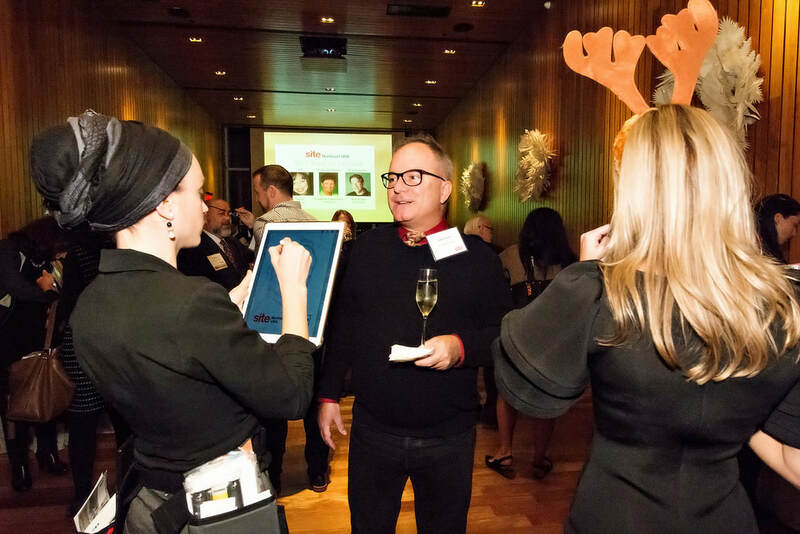 The full board slate, now comprised of 14 key Members in the incentive travel community, are ready to take on 2018! 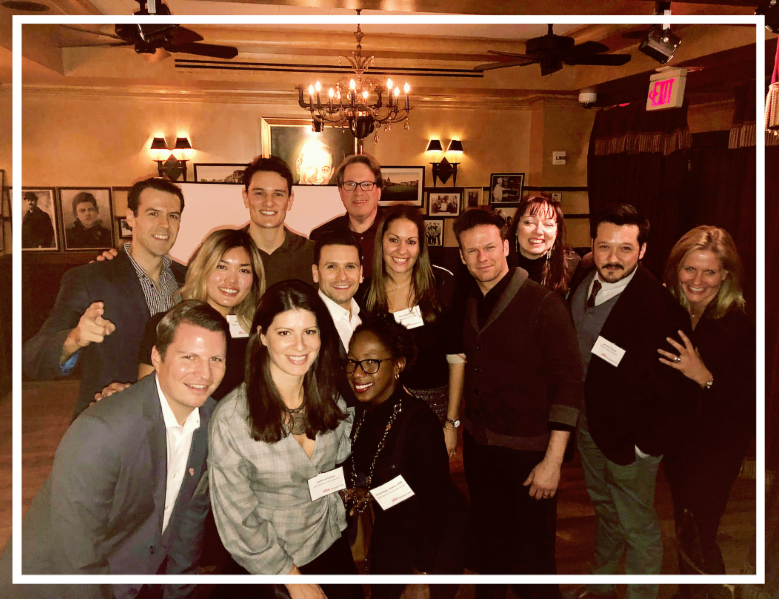 Thanks to the evening's other key sponsor, On and Off Broadway, the group was treated to an exclusive "meet and greet" by the cast of Jersey Boys! This was such a hit that surprised the group before everyone walked up to the theater for the 7pm curtain call. It was a great way to kick off the 2018 year- see the calendar below for news and updates on our upcoming programs! 100 industry professionals joined us for our 3rd Annual Holiday Soiree + Silent Auction (and Coat Drive! 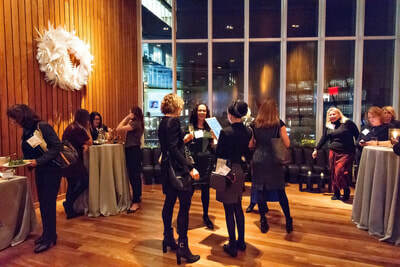 ), hosted at The Standard, High Line. 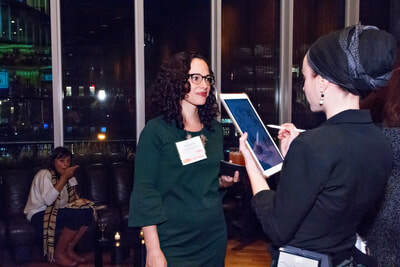 With 40 auction items, a live band, digital portrait artist, scrumptious cuisine and an unforgettable backdrop, this was an event for the books. 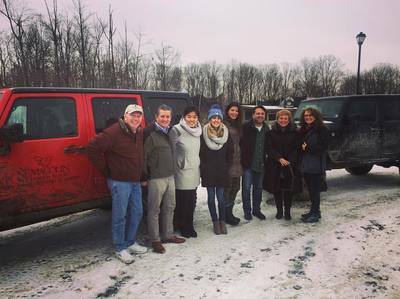 With your help, we were able to collect over 150 donated coats for the 29th Annual New York Cares Coat Drive! 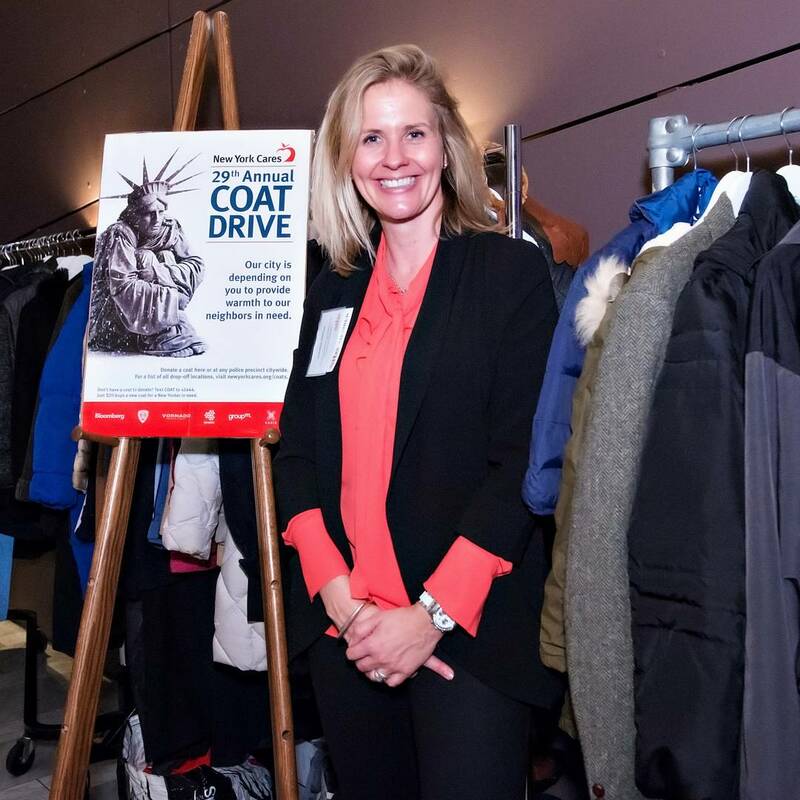 Your donations are among the 125,000 total coats collected and will be distributed to the nearly 60,000 New Yorker's without permanent homes. Qualified Incentive Planners enjoyed a Two Night hosted experience alongside leading industry professionals at The Sagamore, a AAA Four-Diamond Resort located in the heart of the Adirondacks at Lake George. 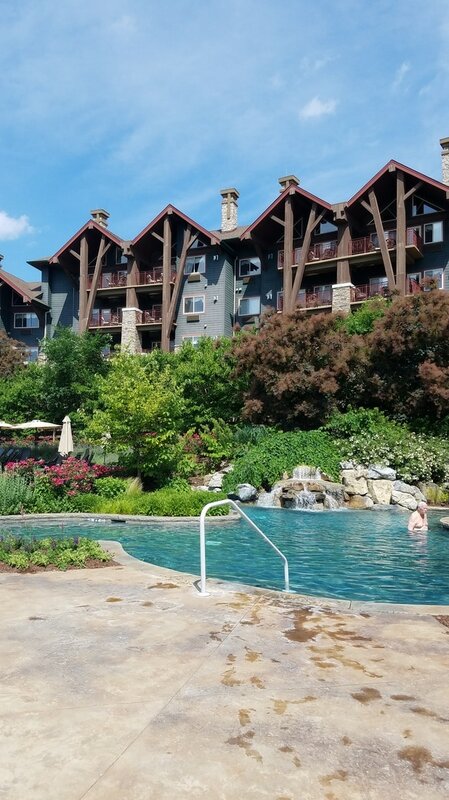 With more than 20 beautiful lakes, countless outdoor activities and dozens of exciting attractions, the Lake George area was the perfect incentive paradise. 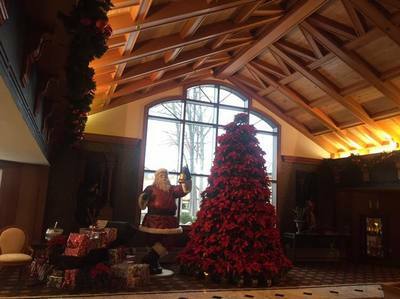 Our guests were able to experience first-hand the Historic Main Hotel and the sleek Adirondack style of the lodges along the shoreline of the island that offers luxury accommodations, extraordinary dining, superb fitness and spa facilities and a host of opportunities to enjoy the incredible beauty of the Adirondacks. 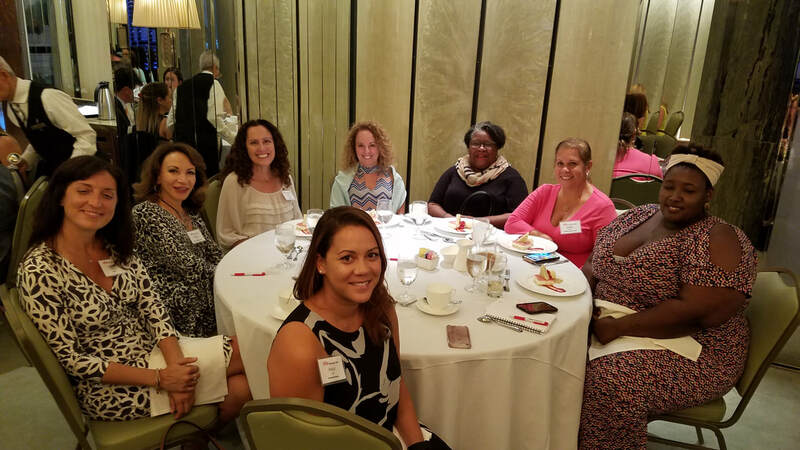 The Fall season kicked off with a SITE Lunch & Learn program, presented by Patrick Rush, Director for American Express Meetings & Events. 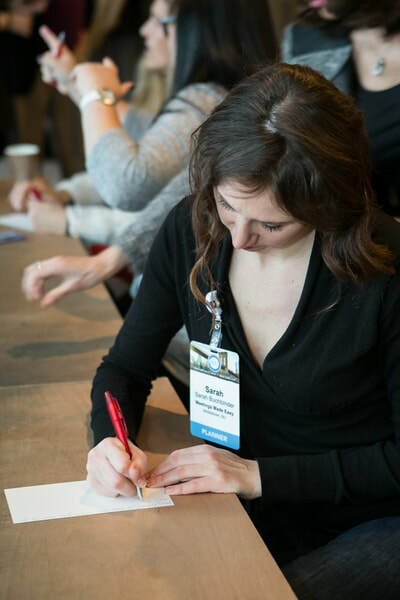 In this session we transformed data into knowledge utilizing the American Express Annual Meetings Forecast Report and guests leave with REAL INFORMATION that they could use to elevate their next event. 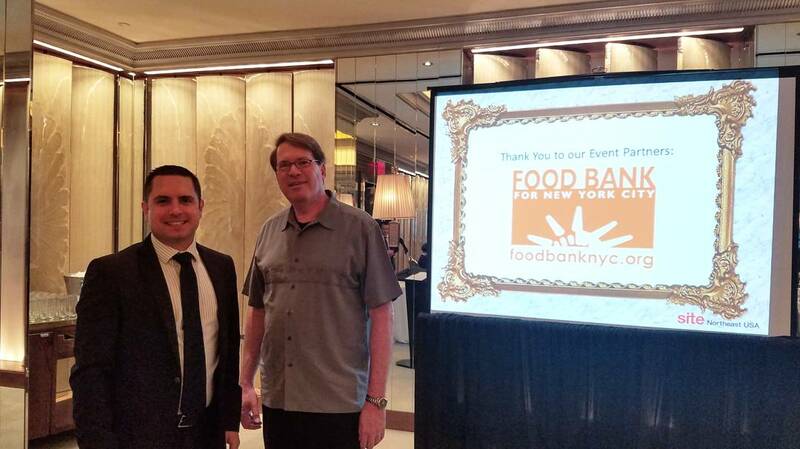 In support of our community, the event supported the Food Bank For NYC through donations to their virtual food drive. Representatives from Food Bank For NYC were onsite accepting donations and hundreds of dollars were raised to support our local charity. 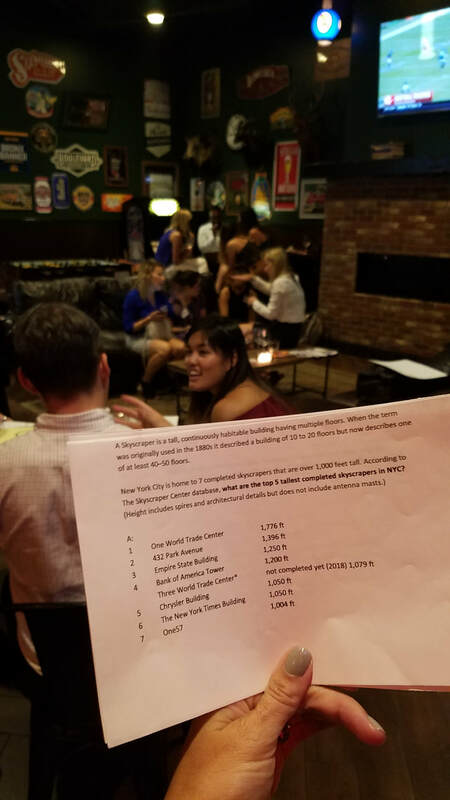 for a night of event-themed trivia & fun! 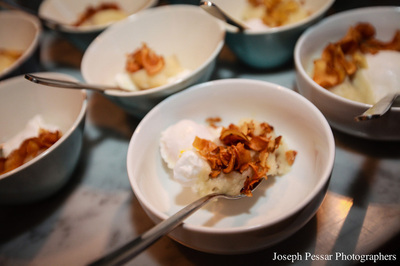 SITE Northeast USA Young Leaders chapter is hosting a Trivia Night at Atlantic Social, Brooklyn's newest restaurant, offering an eclectic menu of new American classics from celebrity chef Dale Talde. 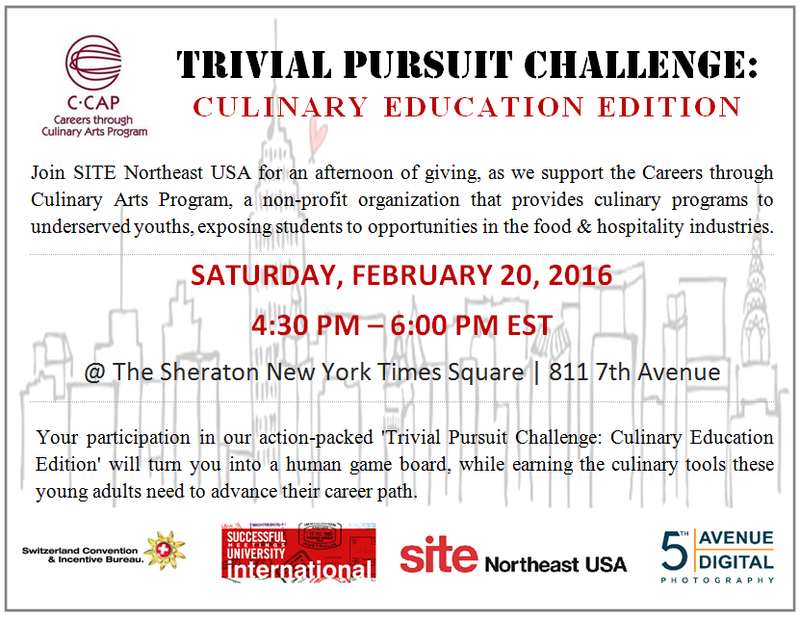 Bring your A-Game to our rapid fire trivia game challenge where you can prove your hospitality knowledge and meeting planning prowess. You aren't called a Young Leader for nothin'! 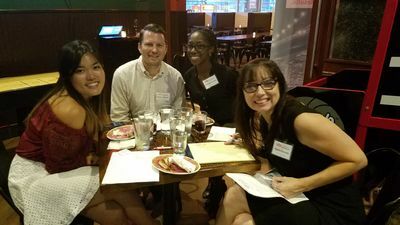 Cocktails & hors d'oeuvres will be served, along with prizes for the winning Trivia team. 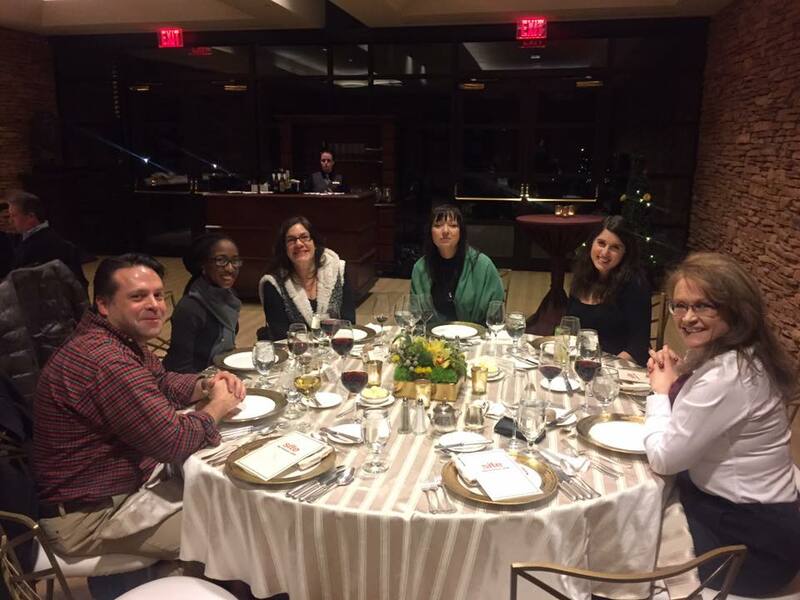 Incentive Planners from across the Northeast USA joined together for a Two Night hosted experience alongside leading industry professionals at Grand Cascades Lodge at Crystal Springs Resort, nestled in the heart of the Garden State's picturesque northwest. 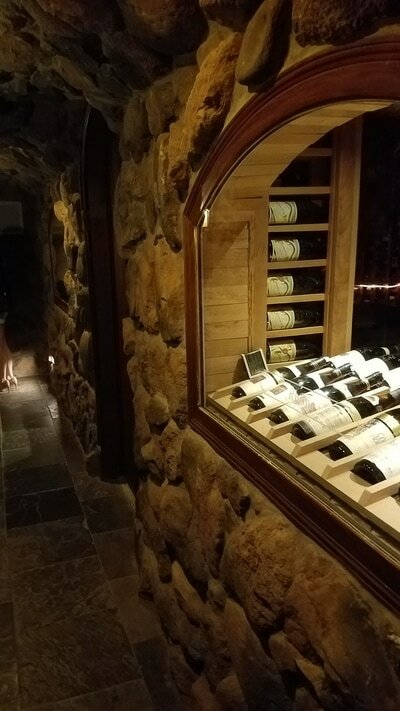 The program began on Thursday, June 22nd with a welcome reception and tour of The Wine Cellar, home to The Wine Cellar’s 15-million-dollar wine collection. 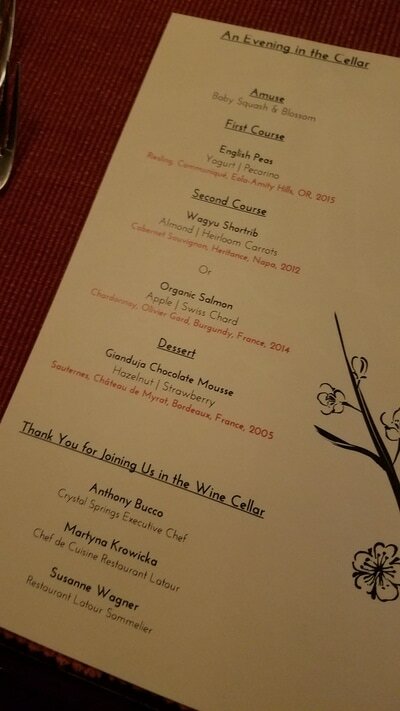 Dinner in The Bordeaux Room followed, which featured dishes paired with wines hand-selected by the sommelier. 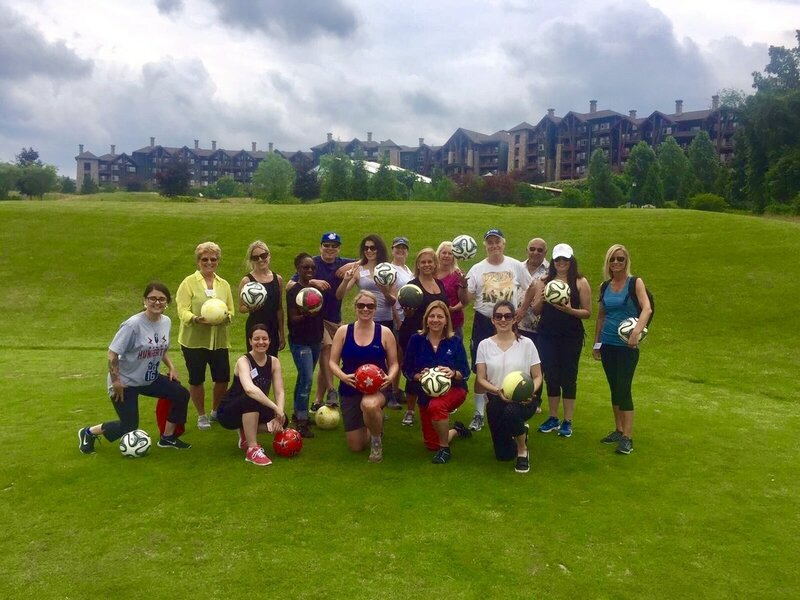 The next morning, following a deluxe breakfast, the group headed out to one of the resort’s five golf courses for a friendly competition of FootGolf! 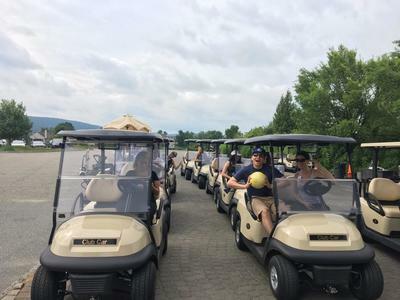 Beer carts were a-plenty as teams kicked their way across the picturesque fairways. A farm-to-table lunch was served in the Chef’s Garden, surrounded by a huge variety of herbs, vegetables and flowers as well as an open kitchen with a wood burning fire pit. 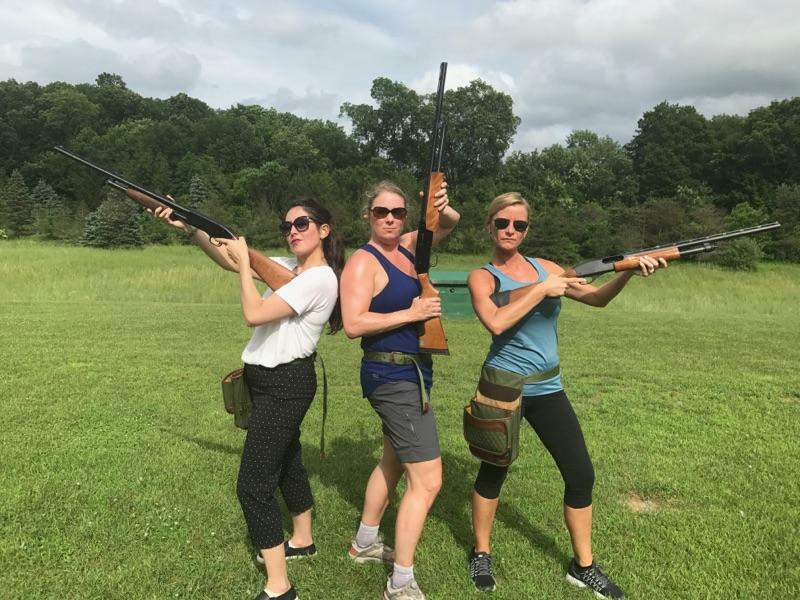 An afternoon of optional activities led guests around the resort and included indulging at the Reflections Spa, touring Minerals Resort & Spa, Clay & Oak shooting range, and the Mountain Top Activity Center. Not to be outdone, the final evening concluded with a private cocktail reception in the hidden “Cigar Bar” and dinner in the Chestnut Room, featuring two fireplaces and an outdoor balcony overlooking the grounds and surrounding mountains. SITE Northeast USA members joined for an evening of invaluable networking and education [and a few cocktails!] at one of Boston's most iconic venues, Fenway Park. 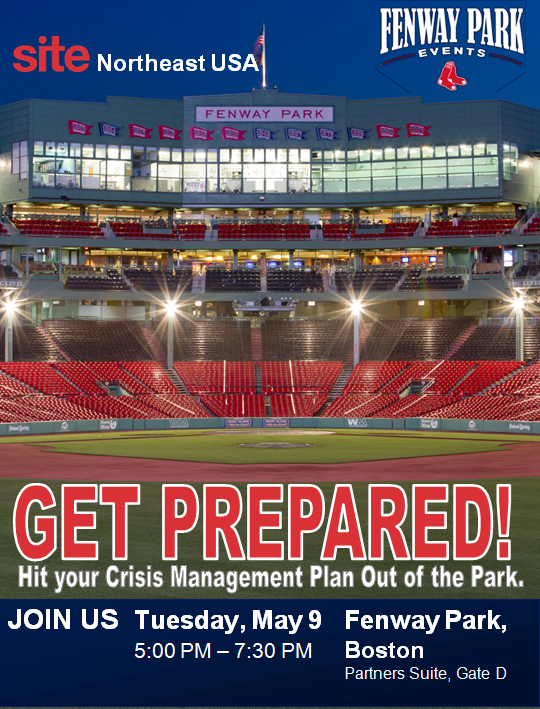 Guest Speaker Catherine Chaulet, President of Global DMC Partners, gave an impactful presentation about emergency preparedness for meeting professionals and highlighted the important pieces of any crisis management plan and safety measures that should be included on all programs, no matter the destination. 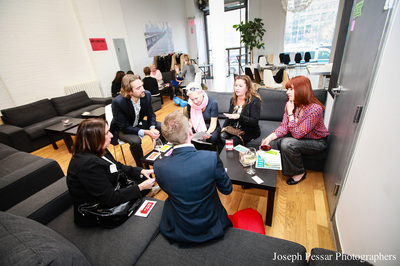 Business meetings and events play a critical role in connecting people and driving positive business results. 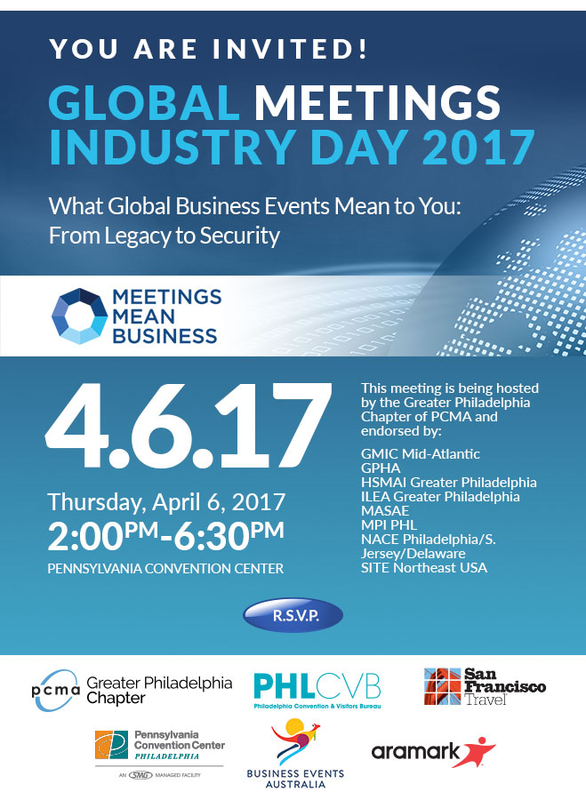 Join us on Global Meetings Industry Day, as we get together to learn what global business events mean to you. From legacy projects to security at face-to-face events and trending topics, we will get together to discuss the future and celebrate our industry! 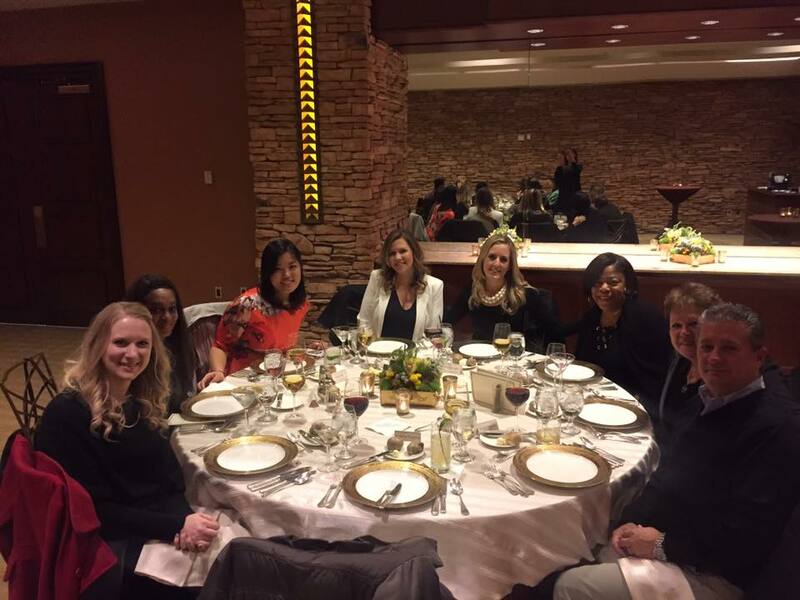 SITE Northeast USA and Northstar Meetings Group sponsored the Certified Incentive Specialist (CIS) training recently held in New York City. 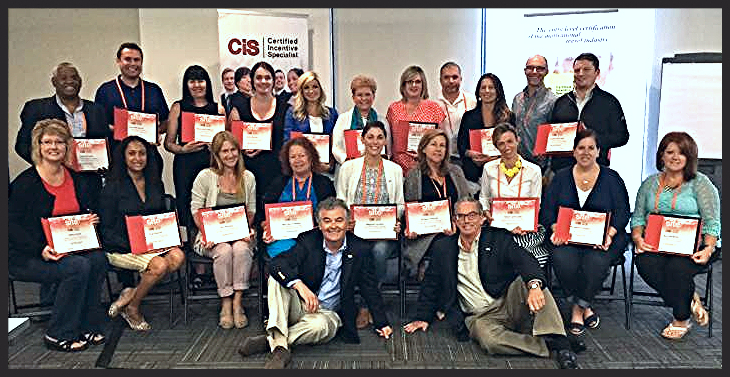 Twenty-two incentive travel professionals from 6 countries earned their CIS credential. Since the program’s inception, nearly 1000 people from around the globe have become CIS certified. While we remain hopeful about the year ahead, there are many unknowns about the changes yet to come that will impact each of us both personally and professionally. No matter what your politics may be the world will be a different place in the coming months and years and we must prepare ourselves for all potential challenges. To assure success in the future our speaker, Coach Paul Assaiante shared his insights from his amazing stories as the Men’s Squash Team coach at Trinity College where he reigns as the “Winningest coach in college sports history” winner of 15 NCAA Championship titles. Coach Paul’s core belief is the need to embrace fear in order to remove obstacles blocking success. Based on his book “Run to the Roar”: Coaching to overcome Fear, Coach encouraged us to free ourselves from the chains of fear, so success and the joy of the journey can be realized. Cindy D'Aoust, CLIA, also presented a brief yet impactful overview on Cruise Trends and Relations to Incentive Travel. 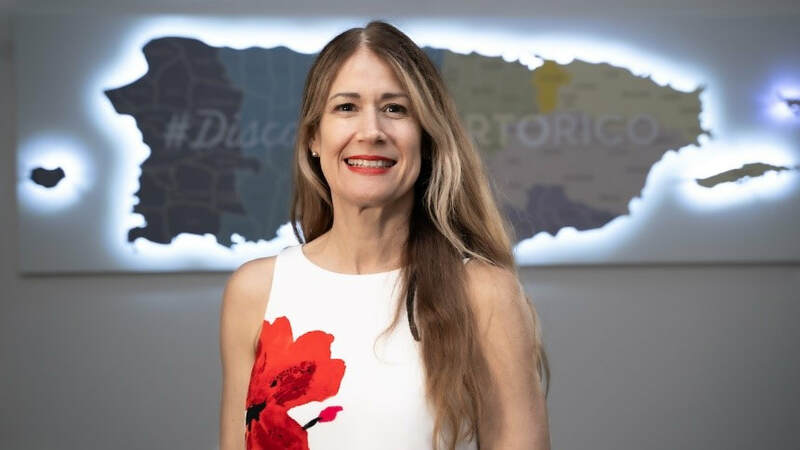 Cindy is President and CEO of Cruise Lines International Association (CLIA). 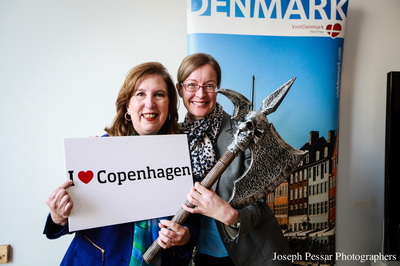 In this role, she oversees the management of global operations and the CLIA leadership teams. Cindy joined CLIA as Executive Vice President of Membership and Operations in December 2014, and has successfully built teams and structures to enhance CLIA's member services, as well as launched management systems to create efficiencies and more seamless member experiences! 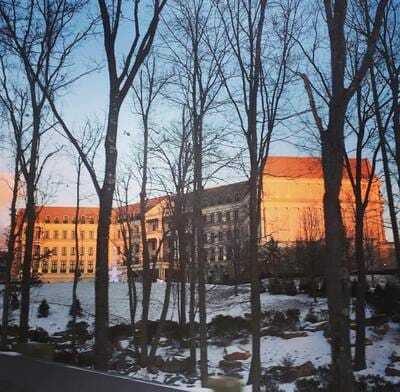 20 hospitality professionals attended our SITE UNSEEN Retreat at Nemacolin Woodlands Resort & Spa, a five star luxury destination resort set on 2,000 wooded acres in the Laurel Highlands in western Pennsylvania. 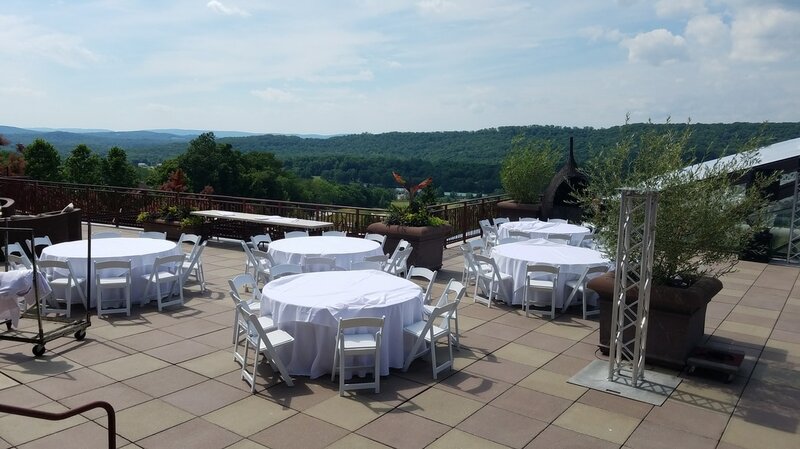 The experience began with a welcome reception at Arden Estates, a private home nestled among wooded acreage overlooking the Pennsylvania Laurel Highlands. Here incentive professionals networked, explored the history and inclusions of the luxury resort, and learned how SITE Northeast can provide you with the tools needed to enhance your next incentive program. 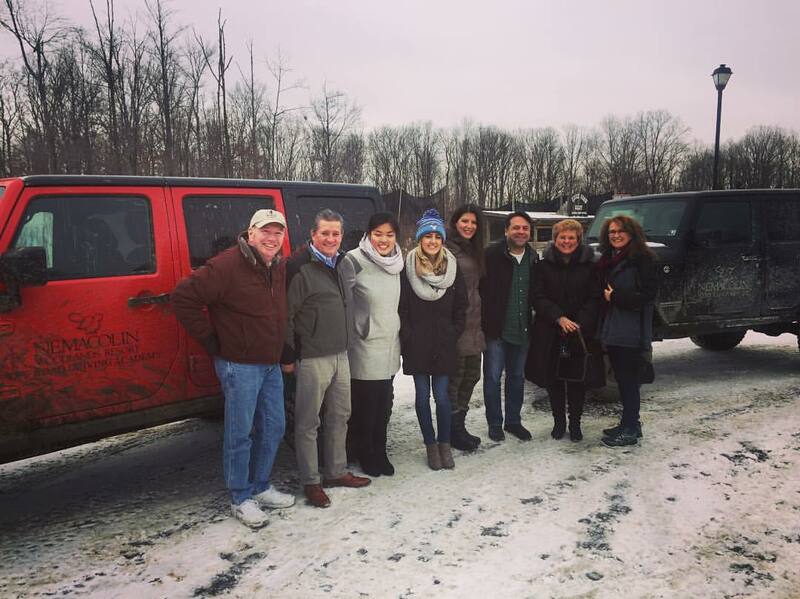 The following morning the group explored the Adventure Center at the Resort, including the Jeep off-road driving academy and exploration of their Wildlife Academy. 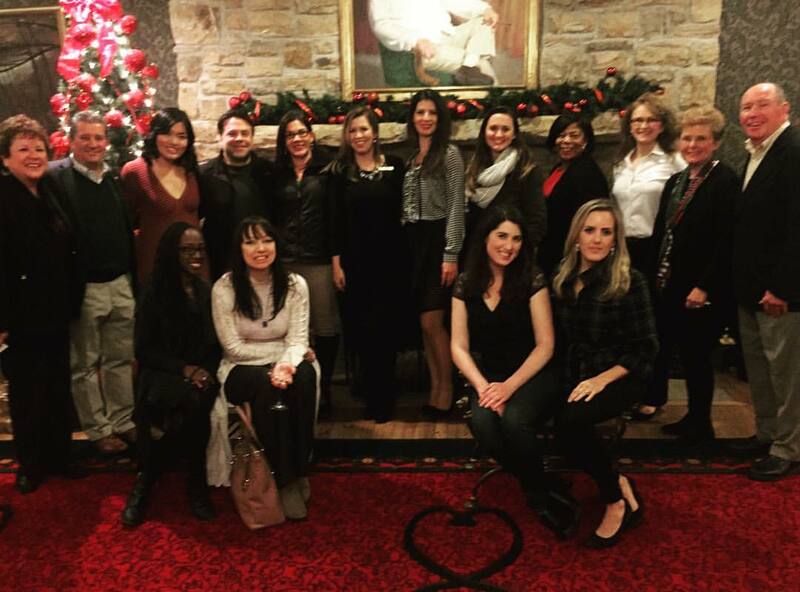 This December, SITE Northeast USA gave thanks to YOU as a dedicated chapter member for 2016. 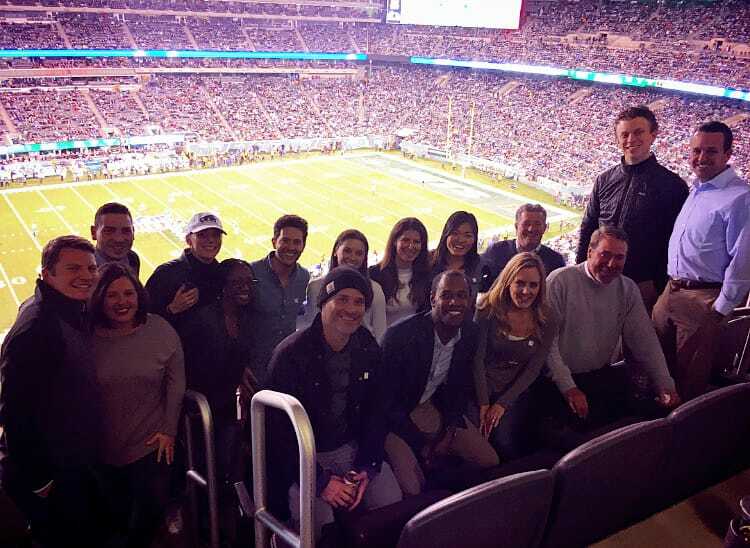 SITE Northeast Members gathered for exclusive access to their luxury Hospitality Suite as the New York Jets took on the Indianapolis Colts at MetLife Stadium! 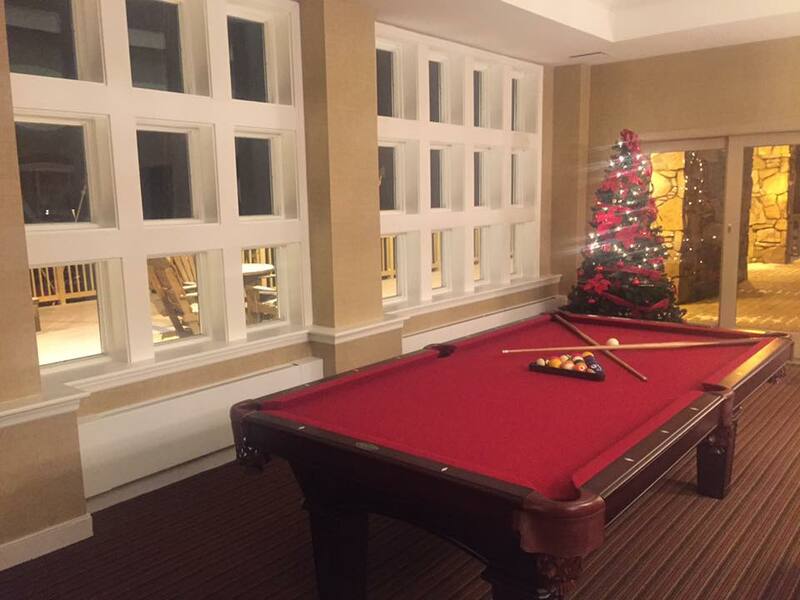 The in-suite experience gave members more than just a place to watch the game. It's was also an opportunity to strengthen existing relationships with Members as well as create new business opportunities with Jets Partnership executives. 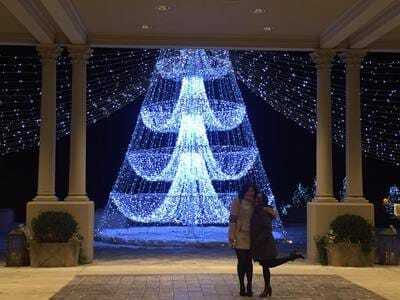 Thank you for your Member Support in 2016! 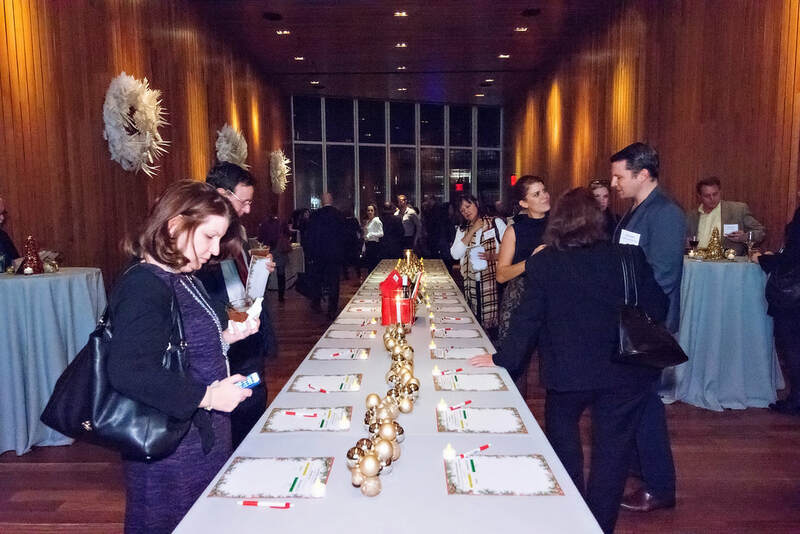 Thank you for attending our annual Holiday Soiree & Coat Drive, in partnership with New York Cares! We all know what it's like to be cold, but most of us experience it in short spurts, like on the walk to work from the subway or while at a New York Giants game in December. Now, think of that last time you were really freezing, the chill seeping right down to your bones. And then imagine having no respite, no hope of getting warm anytime soon. 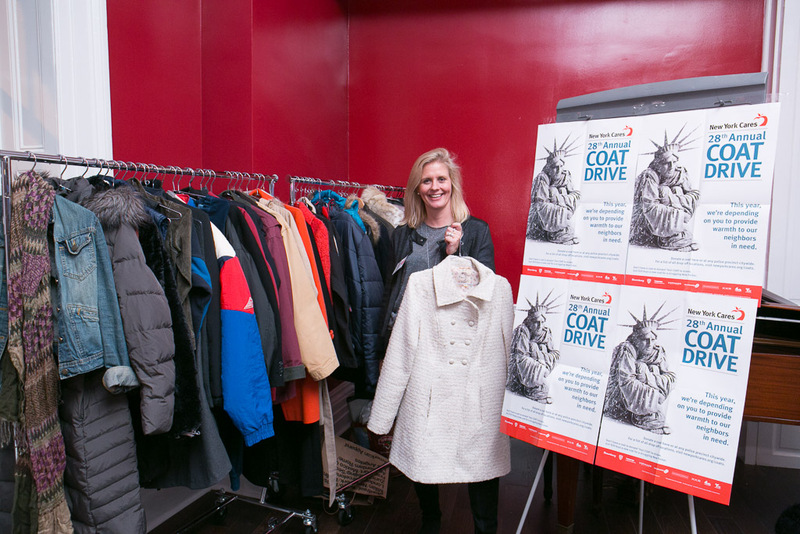 We run the Coat Drive because we want to ensure every New Yorker has the opportunity to stay warm, healthy and safe over the winter. 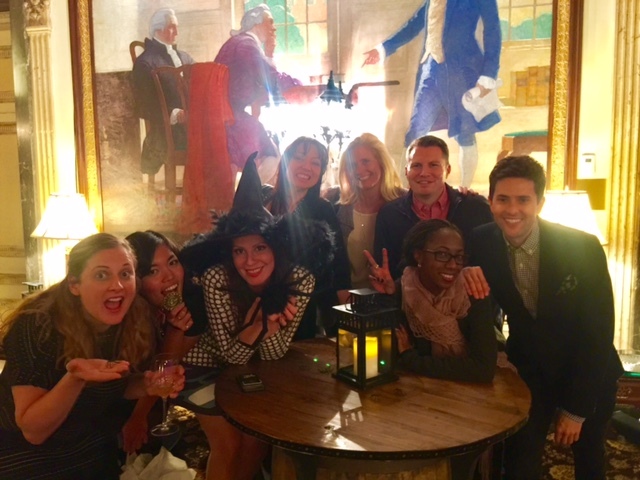 ​On behalf of the SITE Northeast USA board, thank you for joining us for our Halloween Bash at The Langham in Boston! 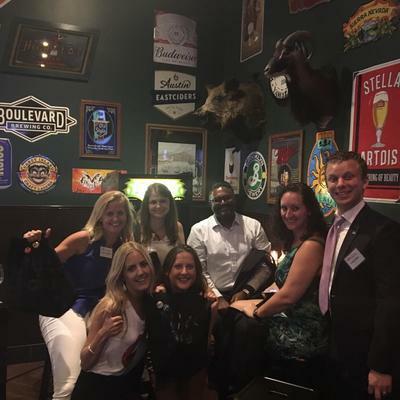 We appreciate your engaged and energetic participation with Wildgoose Events Scavenger Hunt to uncover the hidden haunts of the Hotel. 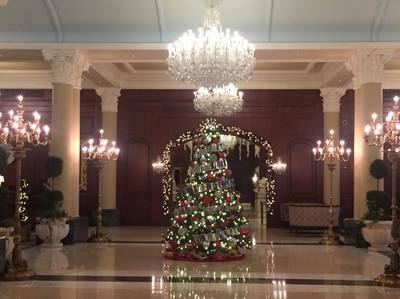 Thank you to our venue host The Langham Boston, who offered a unique blend of historic charm and urban sophistication right in the heart of the city. 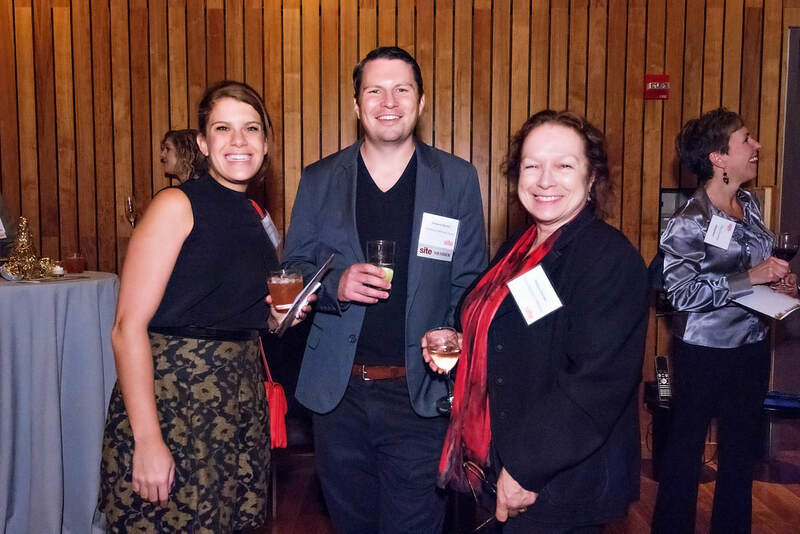 Thank you also to Barbara Scofidio, Editor at Prevue Magazine, who brought us into the minds of planners & hoteliers with brand new survey data by the Incentive Research Foundation. Finally, a special bravo to DPI Events who transported us to the colonial days of the Salem Witch Trials. Don't forget to take a look at your 'head' shots! 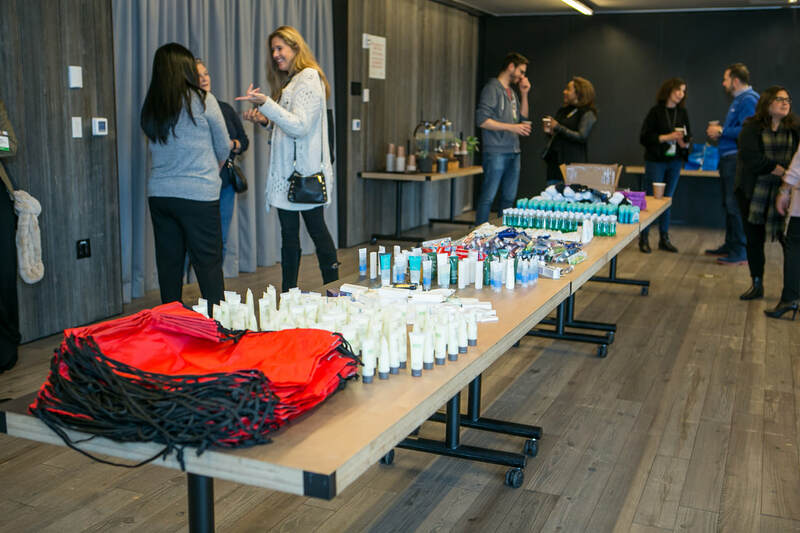 70 incentive professionals gathered this September for an educational experience learning how our five senses are at the frontier of incentive design. 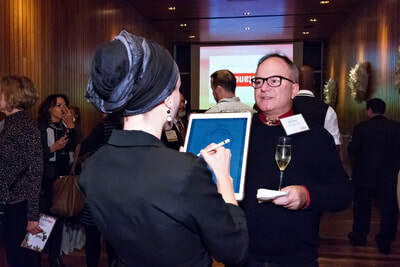 Dianne Devitt, creator of SenseUp training, showed how this concept pertained to our incentives, and how to immediately apply new touches to influence our own events. 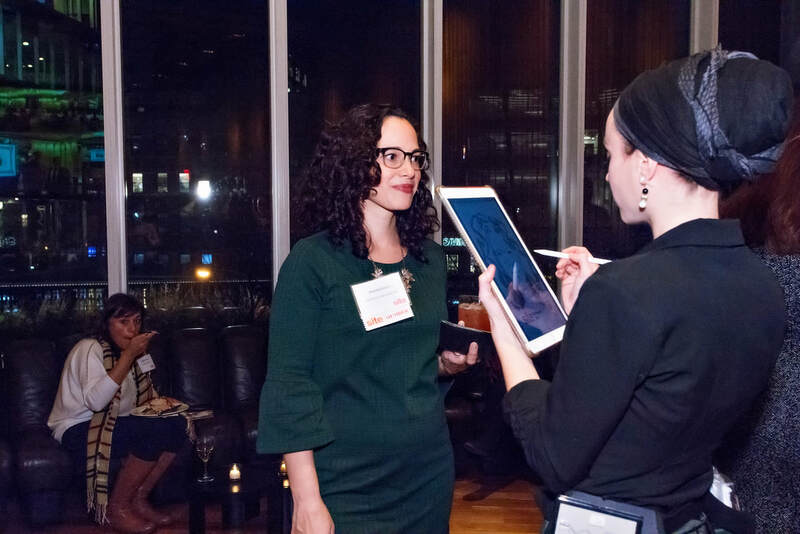 Barbara Scofidio, Editor at Prevue Magazine, also presented a snapshot of a just-released survey by the Incentive Research Foundation (IRF) showing where hotel and planner expectations converge and where they differ. The afternoon concluded with a plated luncheon, where our tastebuds were transported to the Mediterranean Riviera, with a menu centered around olive oils and ingredients carefully selected for their genuine taste and seasonality. It's a Meet and Match Up! 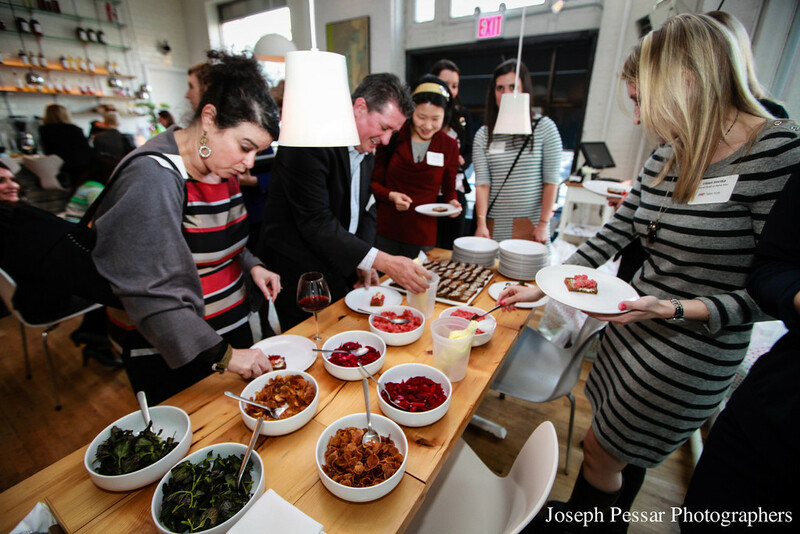 SITE Young Leaders is proud to offer a mentor-mentee matchup during our Taste of Brooklyn outing! 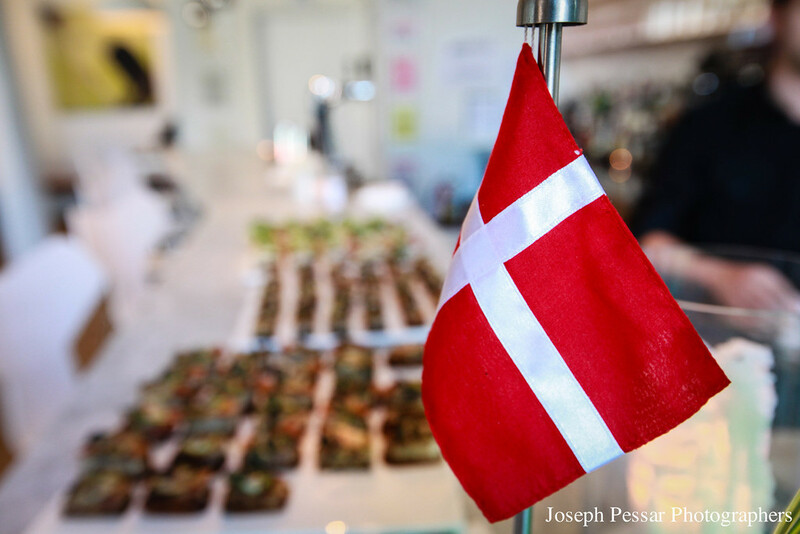 ​Food-inspired challenges will be presented along the way for you to work in teams to solve! 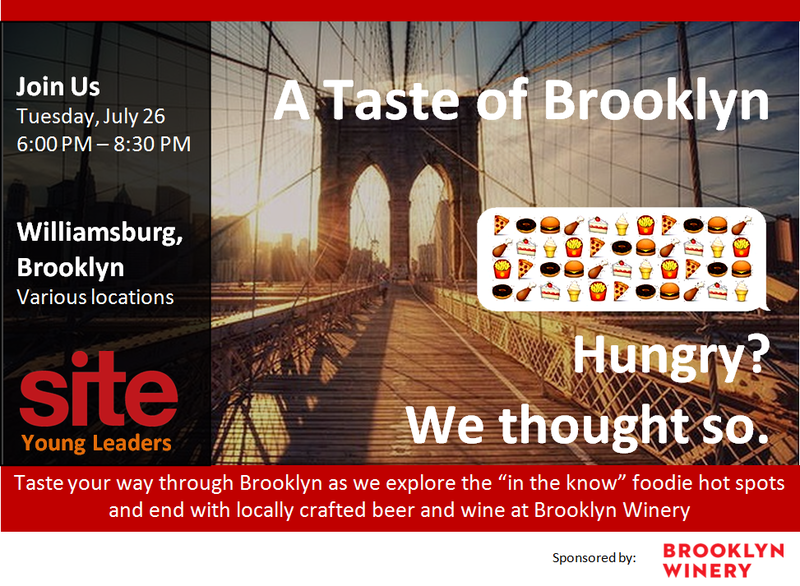 Wrap up the evening with your colleagues at Brooklyn Winery, a boutique urban winery set in the heart of Williamsburg. 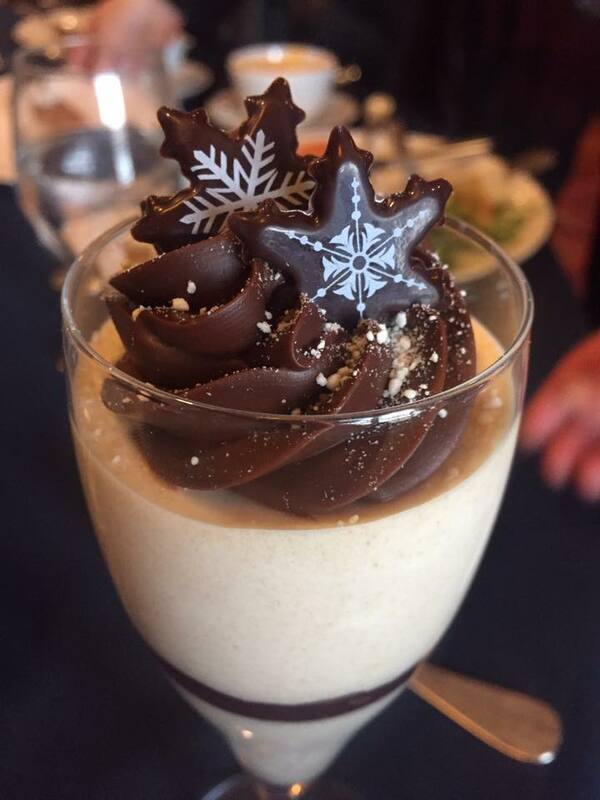 Get creative - the team with the most unique foodie photo will win locally-crafted wine from Brooklyn Winery! Over 75 hospitality professionals from across the Northeast celebrated the first week of summer at the much anticipated SITE Summer Soiree! To commemorate the arrival of summer, SITE partnered with the WYSO® Foundation to showcase the artwork of local Northeast artists Frank & Michael Wysochansky to give recognition to the talents of self-taught artistic savants. Attendees explored our Pop-Up Art Gallery filled with colorful original and reproduction WYSO® prints - all available for purchase starting at just $20! 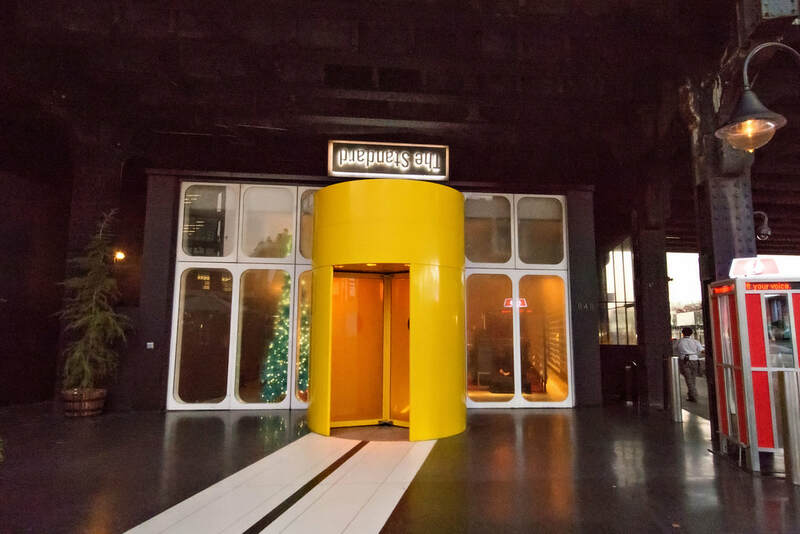 All of the proceeds from the Pop-Up Gallery go directly to supporting the ongoing preservation, restoration and education of works in the Foundation's care. 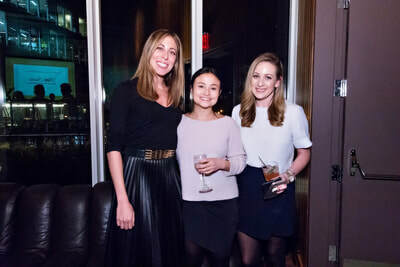 Thanks for all who came out to mingle with SITE and enjoy live entertainment, delectably crafted bites, one-of-a-kind artwork, and an unforgettable view of the Manhattan skyline from the terrace at Maritime Parc, perfectly situated along the Hudson River in Jersey City, NJ! In honour of our Sister Chapter partnership, SITE Canada and SITE Northeast are co-hosting a cross border event in celebration! Join us and our Canadian friends on June 2nd from 6:00pm to 8:45pm for a networking reception and dinner on the Canadian side of Niagara Falls and finish the evening with a spectacular cruise aboard the Hornblower along the Niagara River - our mutually shared waterway. 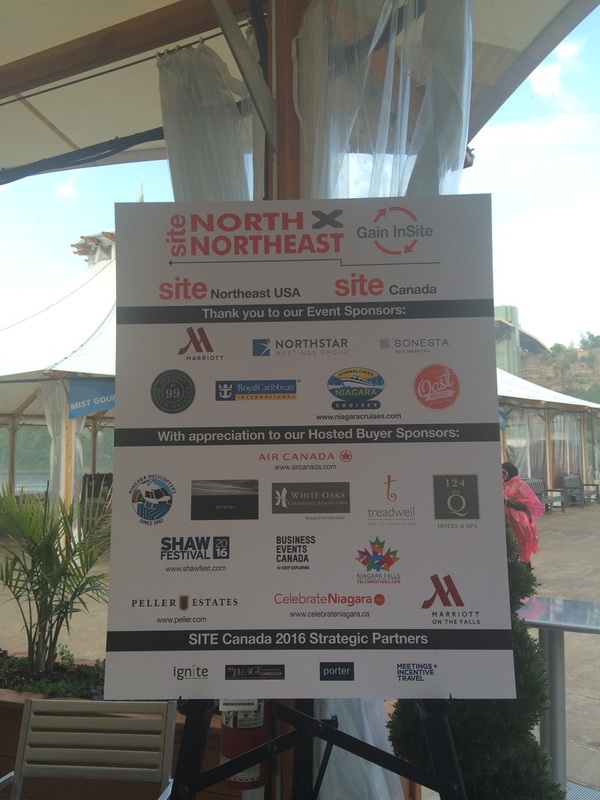 20 hospitality professionals joined SITE Canada and SITE Northeast for a curated snapshot of Niagara. 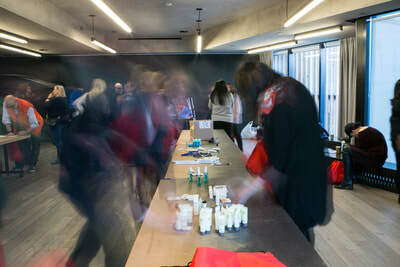 The hosted buyer itinerary brought guests behind the scenes and into the heart of where our border connects. 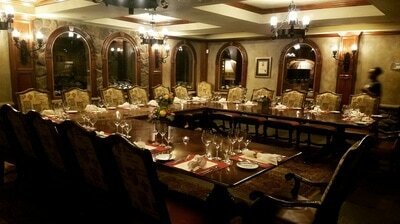 Rediscover Niagara, Canada with us - a true meeting and incentive destination! 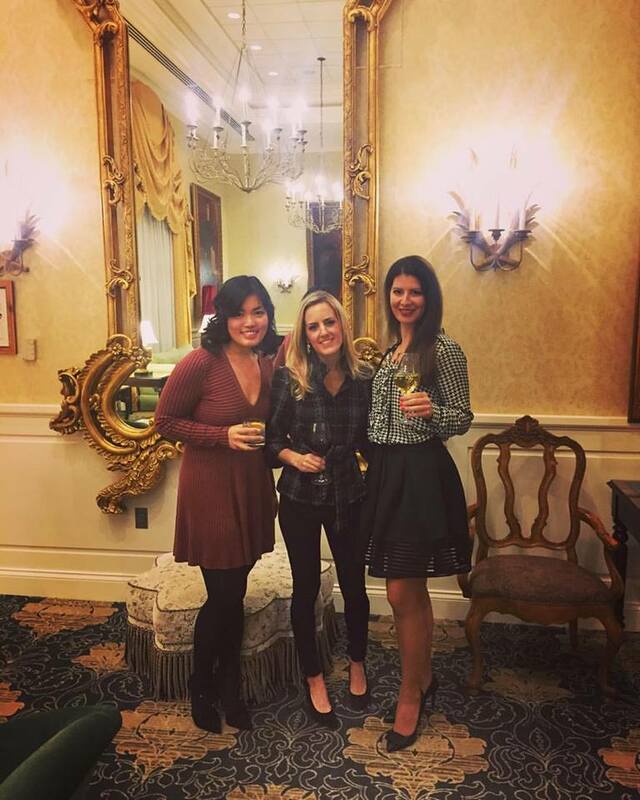 Please contact krista@bluenestevents.com for more information on our 2017 hosted buyer events! 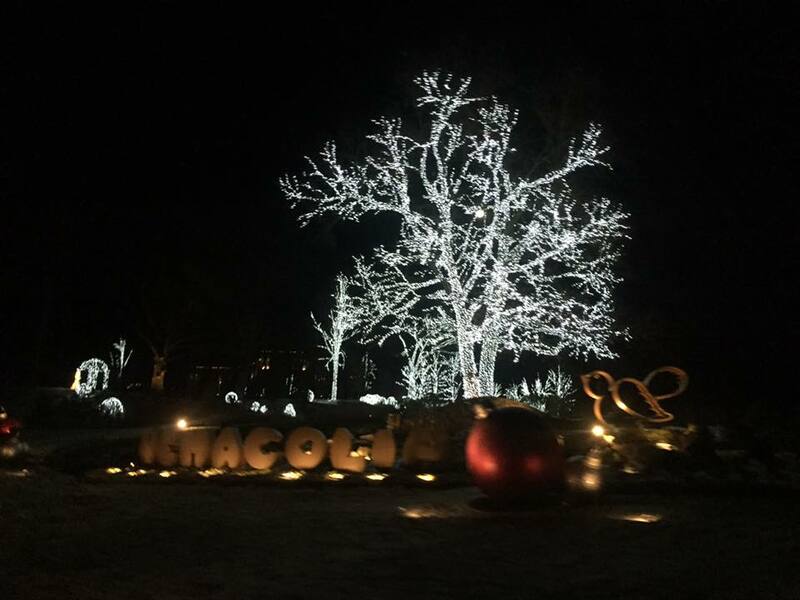 Incentive industry professionals need to be nimble, attentive, confident and creative these days in order to personally thrive while positively relating to others. The same is true of Improv Theater performers. 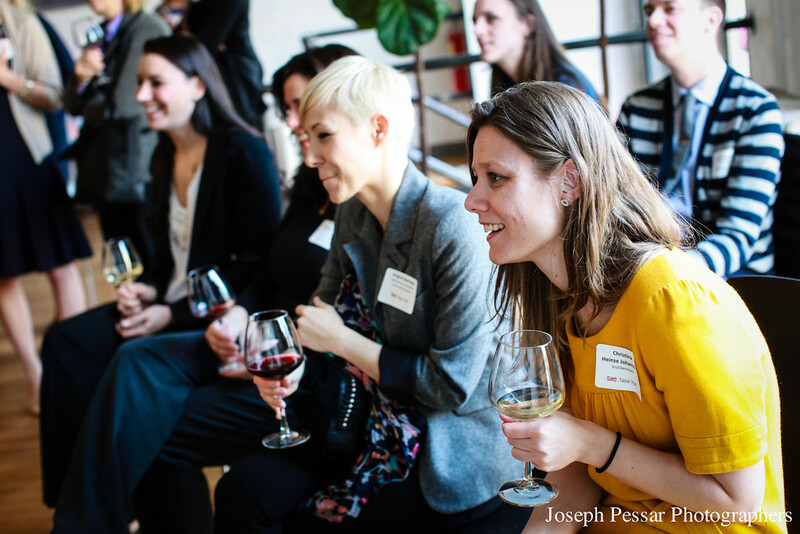 In fact, the skills that make improvisers so successful are the same ones that make us non-performers successful, both personally and professionally. In this entertaining, informative and immediately applicable program we’ll go behind the curtain and into the mindset of improvisers and leave with ways to be more confident, spontaneous, and balanced people. 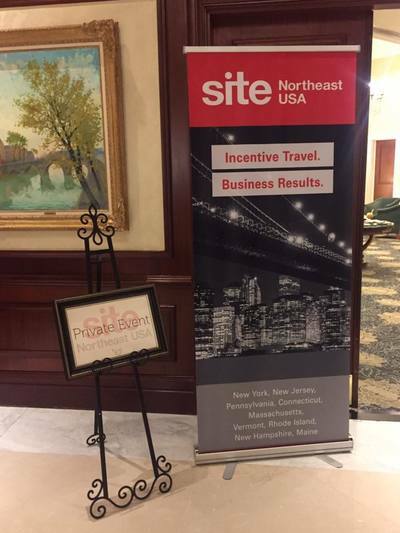 20 meeting & incentive professionals joined SITE Northeast for our hosted buyer 'Sip with SITE' event at Saybrook Point Inn & Spa in Old Saybrook, CT! 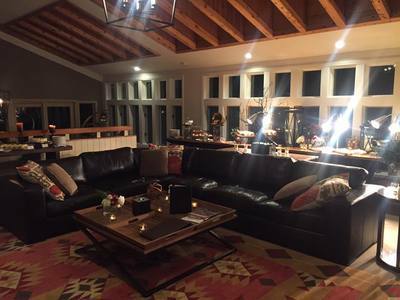 The evening began with a welcome cocktail reception at Saybrook's Guest Houses, Three Stories and Tall Tales, two renovated Italianate homes complete with private gardens, rooftop fire pits, billiards room, and stunning views from the wrap-around porch. 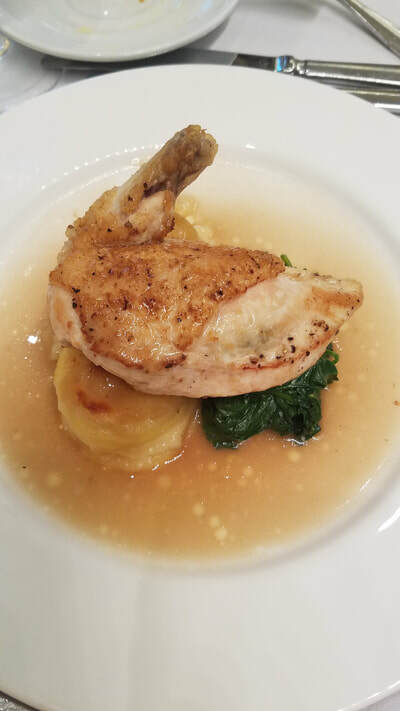 Following the cocktail reception, a sumptuous wine-paired dinner featuring locally sourced ingredients was served. 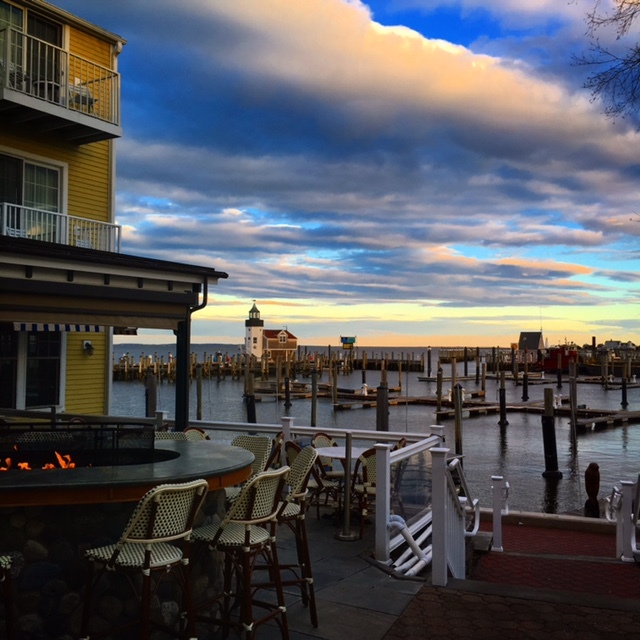 We listened to the smooth jazz sounds of Acute Inflections while taking in the breathtaking views of the Long Island Sound, the warmth of the outdoor fire pit and vibrant flavors of regional fare from the sea and land. 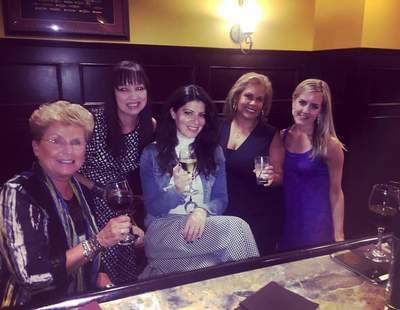 Guests also enjoyed a visit Sanno Spa featuring 11 treatment rooms; the Health Club, equipped with steam room, sauna, indoor & outdoor pools and sun decks; and the beautiful Saybrook Point Marina, filled with yachts going in and out along the Connecticut River. Your mission? To discover the new Downtown. If you think you know all there is to know about Manhattan's Financial District, you're in for a challenge. 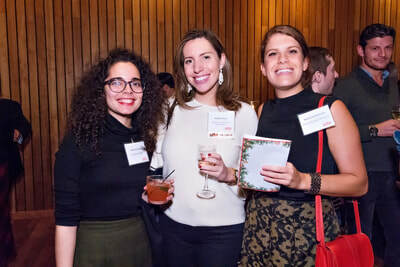 Dip, duck, dodge and dive your way around the cobblestone streets of FiDi as you work in teams to solve tasks sent to you stealth-mode on your smart phones, courtesy of CityHunt. Reception kicks off promptly at 5:30pm at the newly renovated Penthouse at Gild Hall, A Thompson Hotel. Teams will be formed. Bonds will be made. 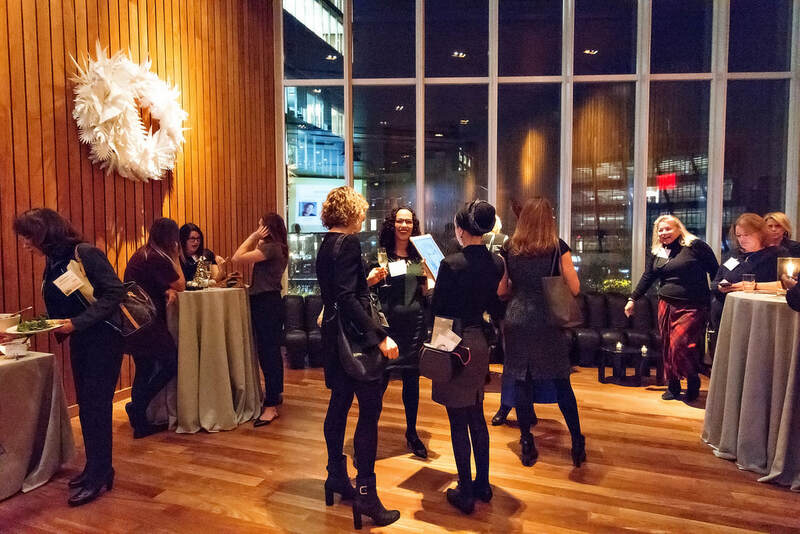 Make your way back to our closing reception at Convene Old Slip by the time deadline, or be prepared to face the consequences (okay, a little dramatic, but you get the point)! This event will once again sell out, so REGISTER EARLY! SITE Northeast USA thanks all those who joined us during SMU International for a CSR Culinary Education event! 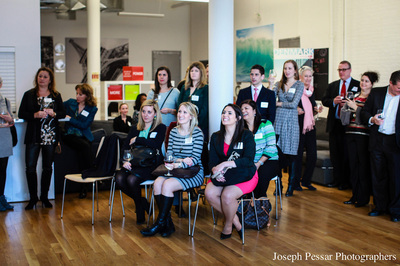 Nearly 100 meeting and incentive professionals attended the event on February 20th in New York City. 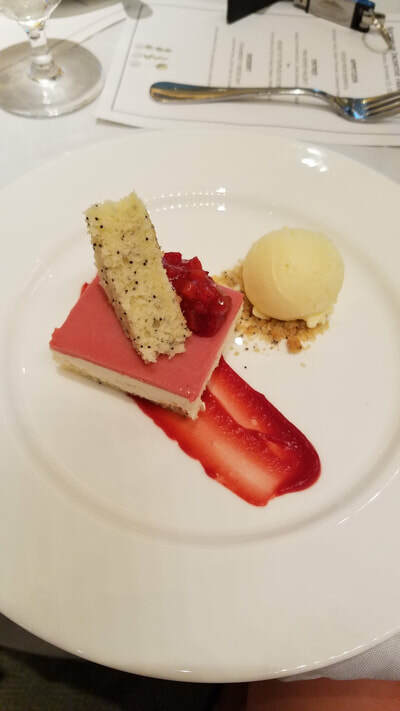 Teams worked together to answer Trivial Pursuit questions which ultimately awarded them with the tools needed to create complete culinary knife & prep sets! Through the support of our sponsors, Switzerland Convention & Incentive Bureau and Northstar Meetings Group, guests were able to assemble 25 culinary kits that will be awarded to scholarship winners from C-CAP (Careers through Culinary Arts Program), a national non profit that works with public schools to prepare underserved high school students for college and career opportunities in the restaurant & hospitality industry. 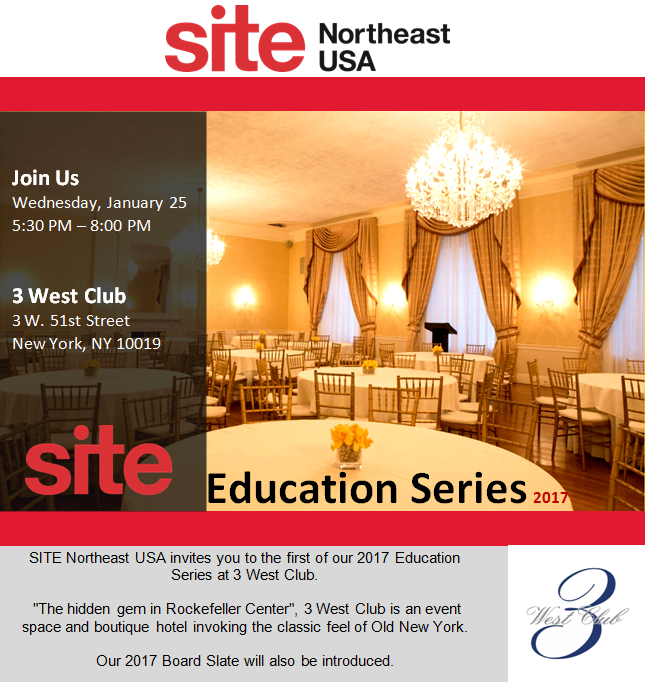 Over 55 incentive and meeting professionals joined SITE New York for our first education series of the year, held on January 14th at Langham Place, Fifth Avenue. 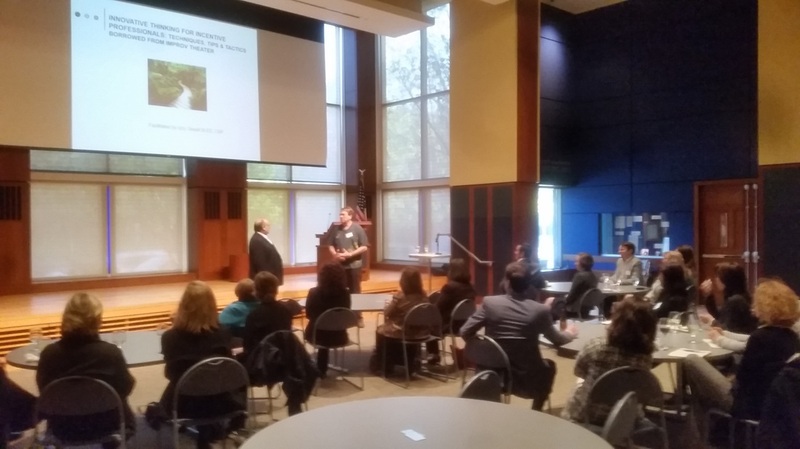 Keynote speaker Lori Martin, President & Owner of Performance Improvement Incentives, led a Ted-Talk presentation on how to create Philanthropic & Inspiring Experiences (PIE). 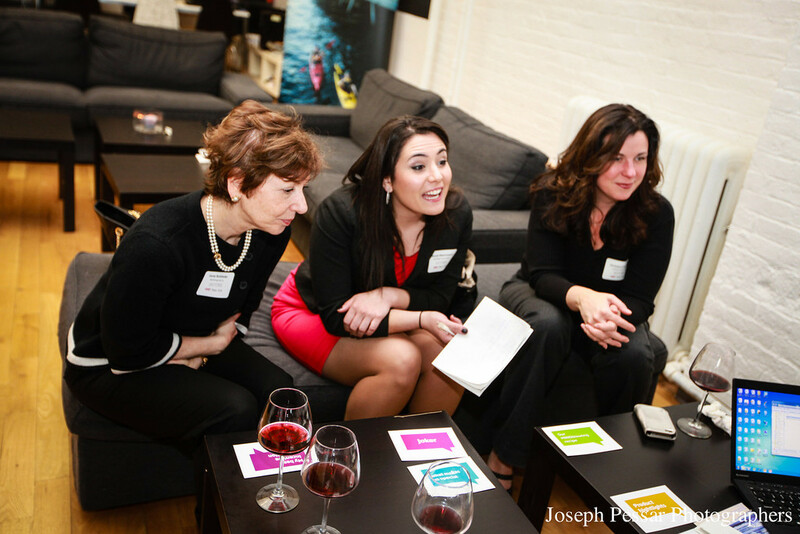 Guests learned how to incorporate CSR into eetings that is a triple win for the cause, the participants, and the corporation's brand. 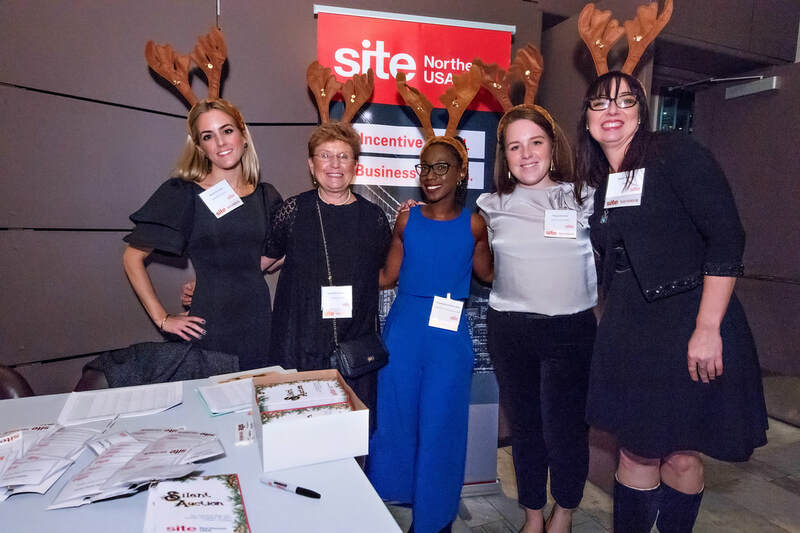 Our 2016 Board Slate was also announced, along with the Winner of our December 'Education Topic Challenge' - Edie Leibman with LPC Consulting, who received a one year Complimentary membership to SITE, courtesy of United Airlines! 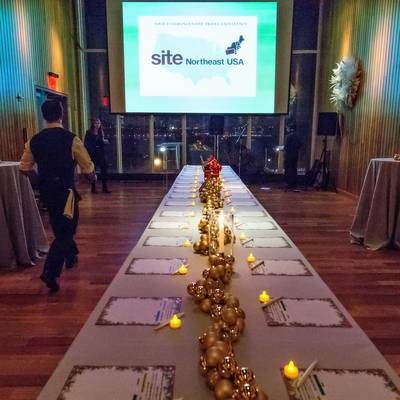 SITE New York Chapter thanks all those who joined us for the Holiday Soiree this past week. 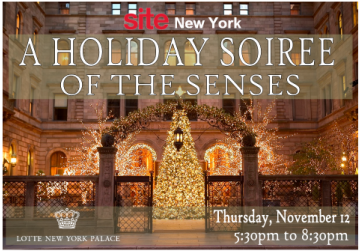 Over 75 meeting and incentive professionals joined to kick off the holiday season while networking with industry peers at the stunning Lotte New York Palace Hotel. 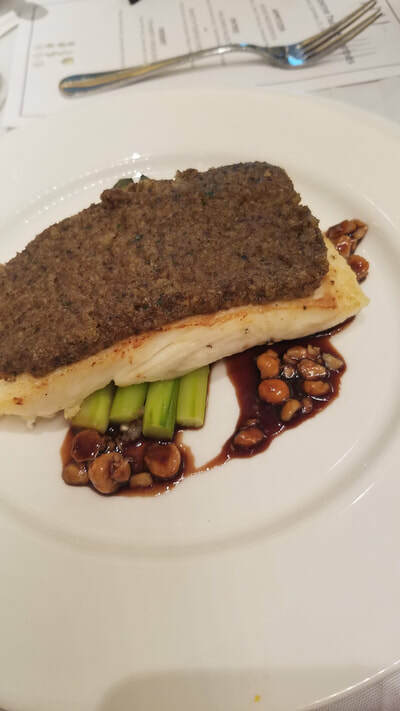 Guests indulged in sumptuous culinary creations and enjoyed the live jazz sounds of Acute Inflection. 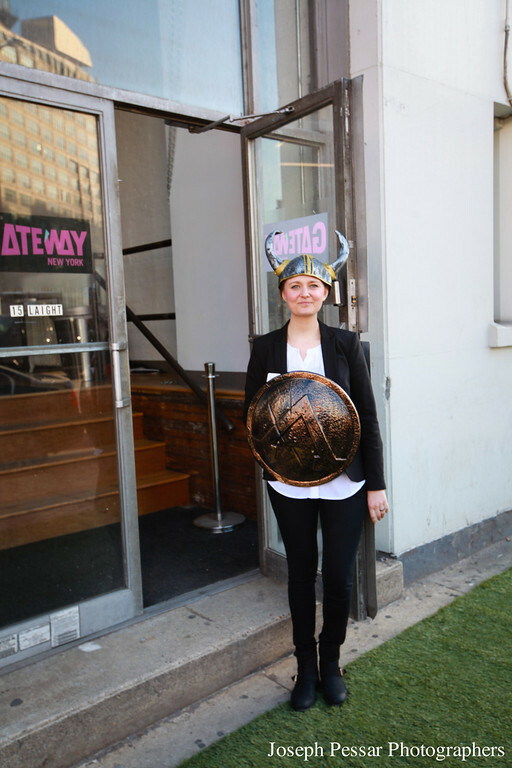 Our Prinstagram photo station was a huge hit - thanks to our partner Fifth Avenue Digital! 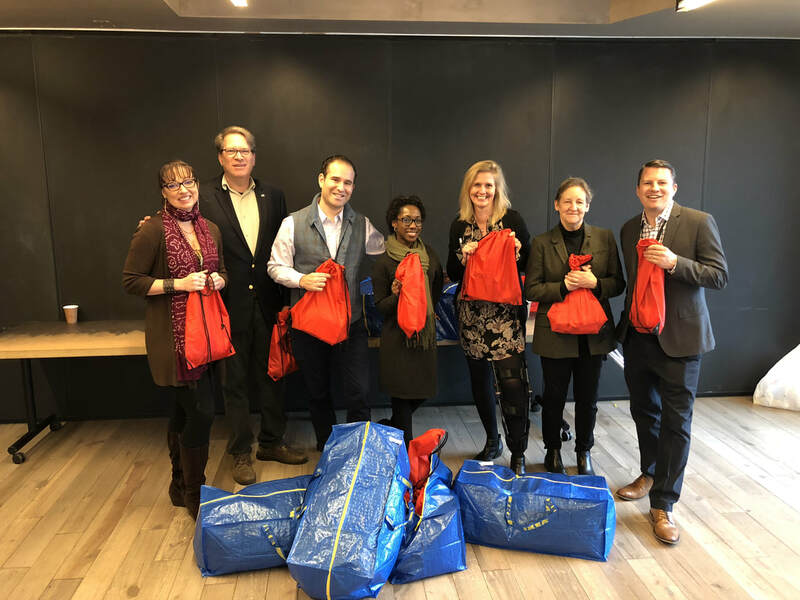 As part of our commitment to the local community, the SITE Coat Drive proudly gathered over 100 winter coats for donation to New York Cares. Thank you to all for your support and donations! 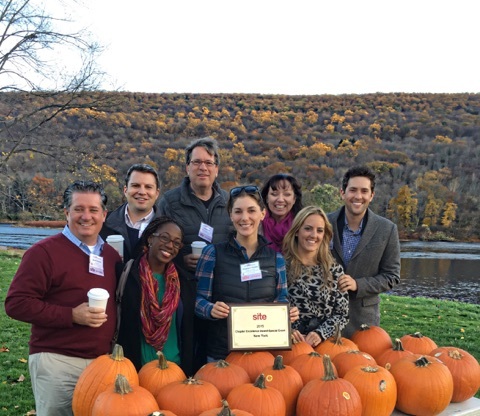 SITE NY Metro Chapter dove into fall with an exclusive experience at the majestic Shawnee Inn & Golf Resort in the heart of the Pocono Mountains, PA. The evening kicked off with a Pumpkin Carving activity around the campfire. Attendees sipped spiked cider and noshed on Smores as they learned the history of the Resort. Guests also took a golf-cart tour of Shawnee Island, their on-property Garden, and visited the resident Eagle Nest and Glamping campsite. Next, guests experienced a private tour of their onsite Shawnee Craft Brewery and enjoyed a 4-course dinner paired with property-brewed ShawneeCraft beers. Live entertainment by the Pocono Duo kept everyone moving between courses! 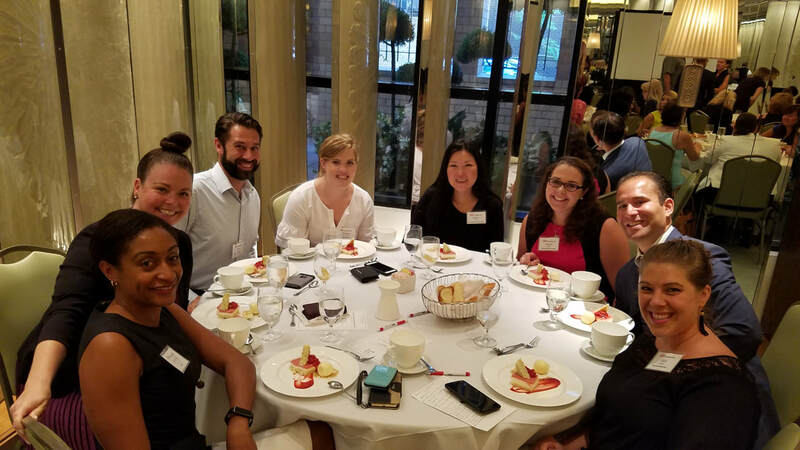 SITE New York Young (and Young at Heart) Leaders joined together for a spectacular evening to close out summer in style. 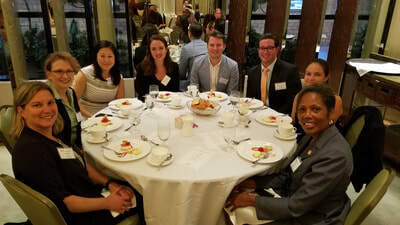 Starting off with a mingling reception at Southwest Porch in Bryant Park, the team braved rush hour to subway over to CitiField to see the Mets take names against the Phillies. The Young Leaders received fantastic field seats just off first base, enjoying great networking, cuisine and the occasional fly ball! SITE New York is proud to be one of the leading chapters to assist with the Certified Incentive Specialist (CiS) certificate, which is an entry level certification program from SITE Global. 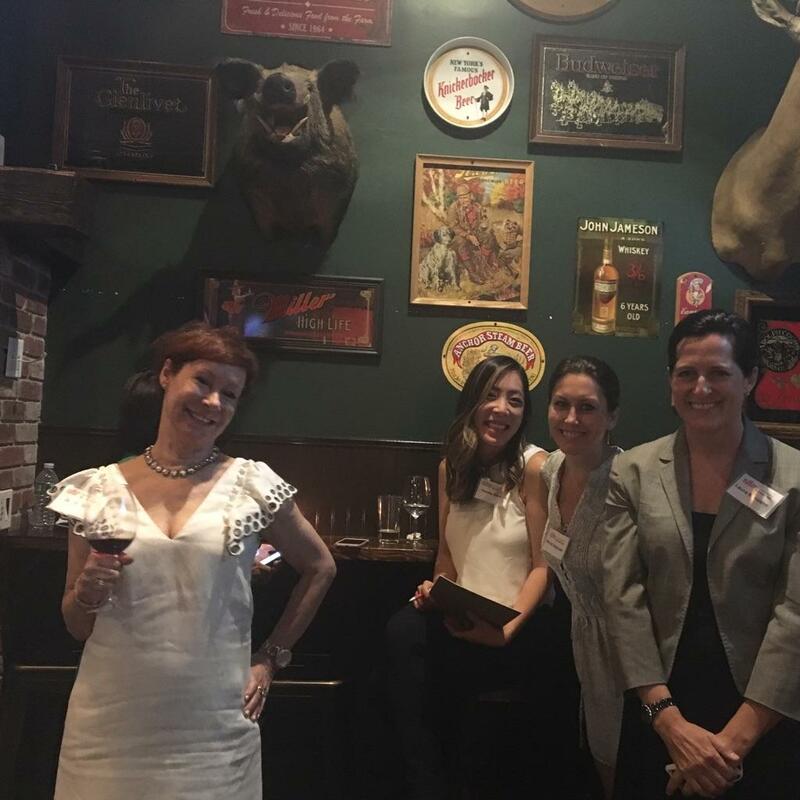 This past weekend the chapter hosted it's 2nd installment of the series, with 20 participants earning their CiS diploma. 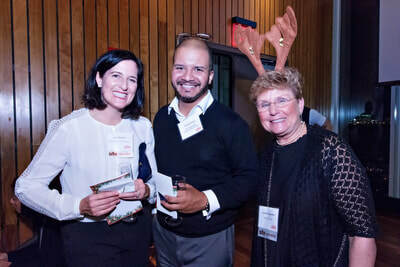 Individuals dove into the fundamentals of incentives, the origins of incentive programs and incentive travel, the value chain, and the value proposition of motivational programs and non-cash awards. With industry experience ranging from 5 to 30+ years, participants also dissected the composition of the market, the makings of a program and a program budget, industry tools and platforms and other valuable information. 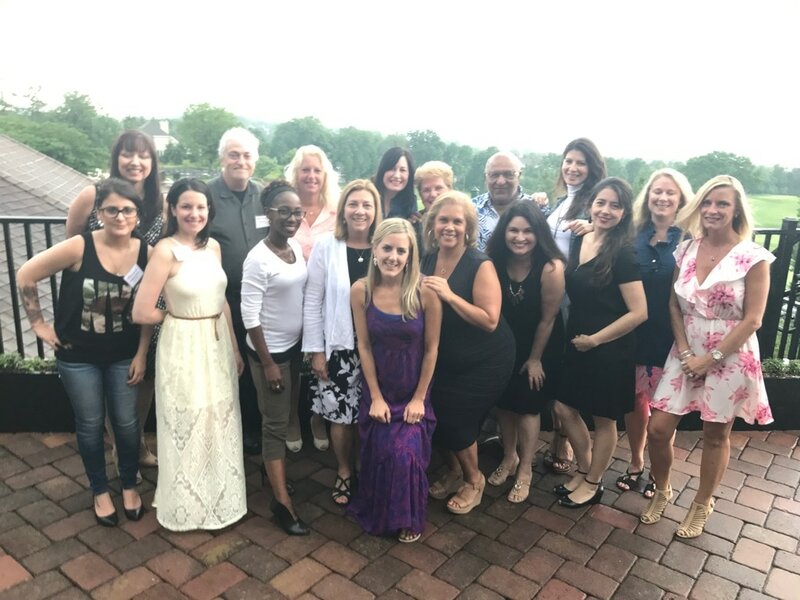 CIS is designed for SITE members and non-members alike in the knowledge that SITE serves as a source of expertise, knowledge and personal connections that will catapult and sustain professional growth, and help build the value of extraordinary motivational experiences worldwide. Congratulations to the CiS graduates! 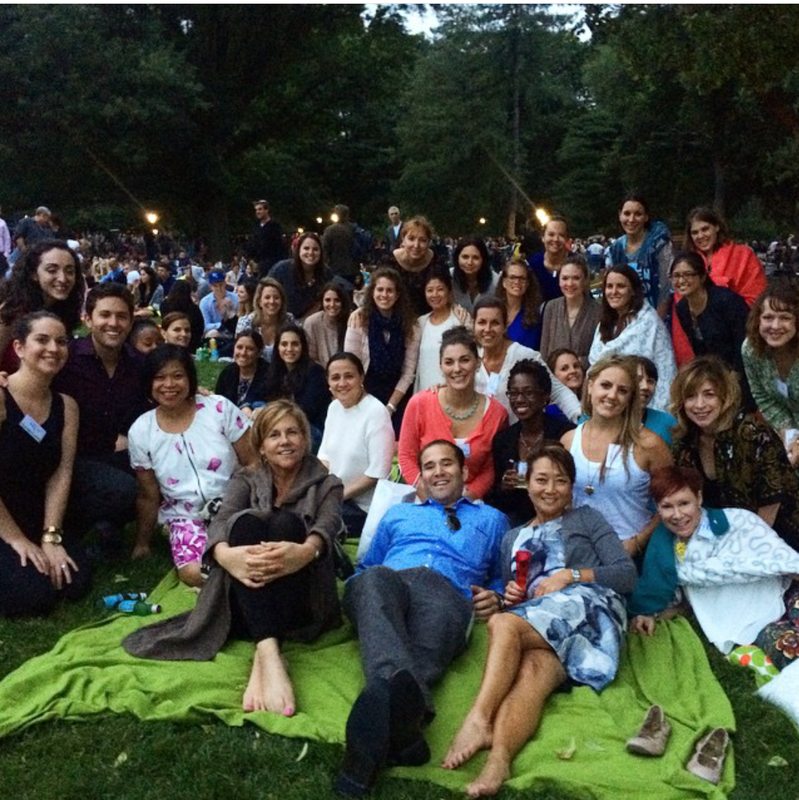 SITE Young Leaders New York celebrated the beginning of summer with the New York Philharmonic in Central Park! The evening began with a private cocktail reception at The Wright at the Solomon R. Guggenheim Museum, followed by an evening under the stars with the New York Philharmonic in Central Park. 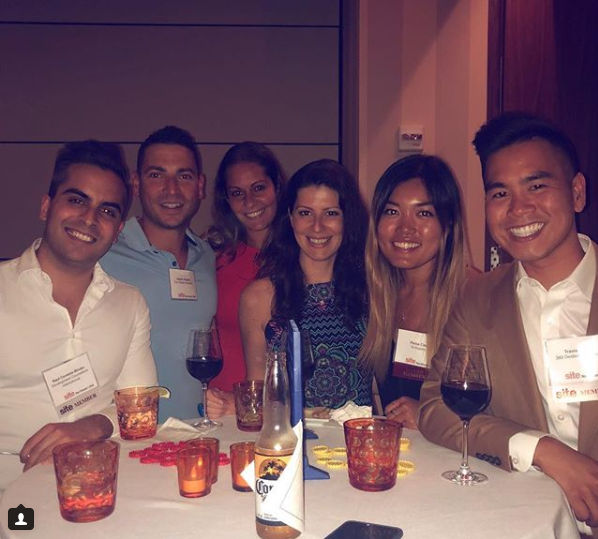 Site Young Leaders joined in the VIP lawn section and relaxed out under the stars for a picnic dinner with wine, fabulous music, and ending with an amazing fireworks show. See the event write-up in the International Meetings Review! 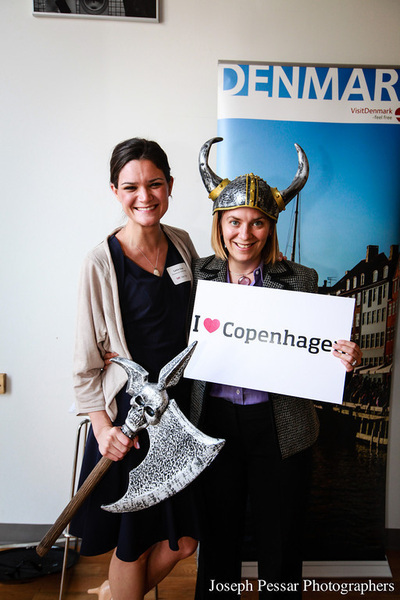 SITE NY Metro in partnership with VisitDenmark hosted an evening of networking, fun prizes, and culinary delights. Guests took their photo with a real Viking, sampled authentic Danish micro-brews from Evil Twin, and tasted amazing culinary creations by The Copenhagen. The highlights included a Grand Prize of a bicycle to the winner of the social media challenge #LikeAViking, and all were able to learn about the MINDblowing things that Denmark has to offer meetings & incentive groups. 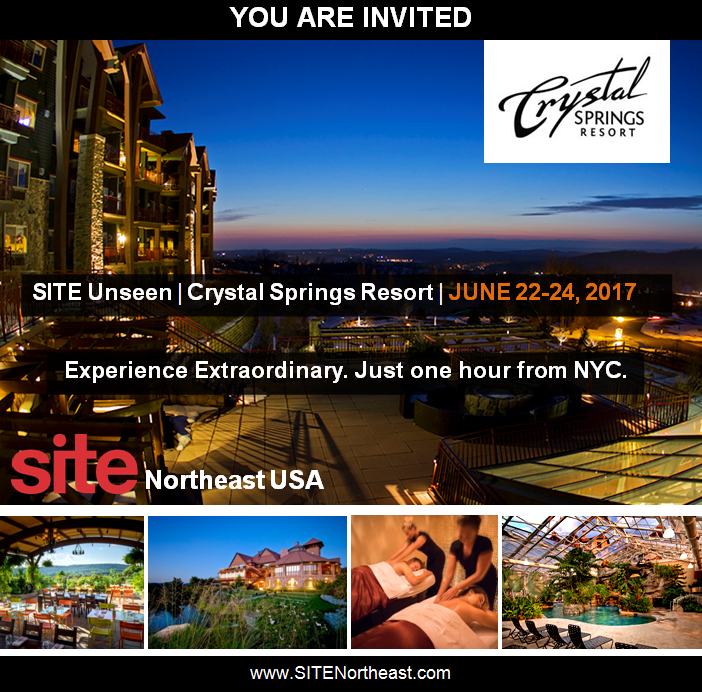 SITE NY Metro Chapter partnered with the esteemed Ocean House Resort for a 'Sip with SITE' networking reception & dinner . 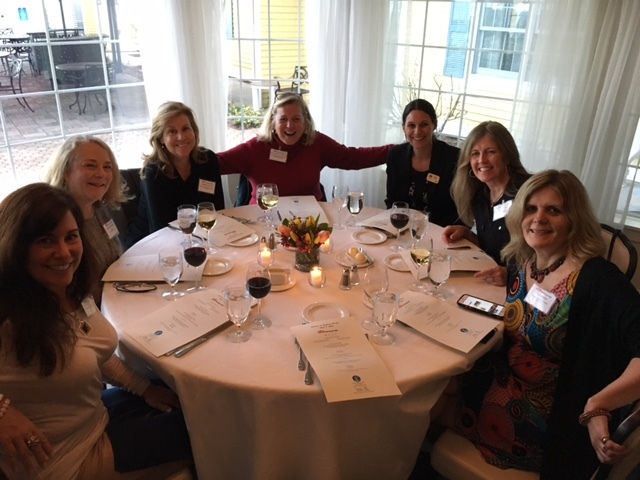 Qualified Planners were invited to experience the Ocean House further with a complimentary overnight stay on and site inspections of Ocean House and sister property Weekapaug Inn. 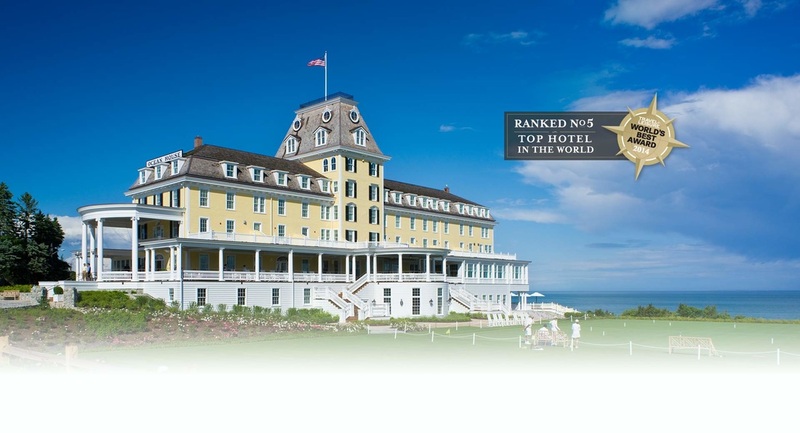 Perched high on the bluffs of Watch Hill, Rhode Island, the Ocean House is an iconic New England seaside resort. It is also the only property to become a triple Five-Star hotel in 2015, making it the 10th hotel in the world and one of only five hotels in the United States to receive this rare distinction. SITE NY Metro & MPI Greater New York Chapters teamed up to celebrate the first North American Meetings Industry Day (NAMID) with a collaborative effort to Make the Connection. 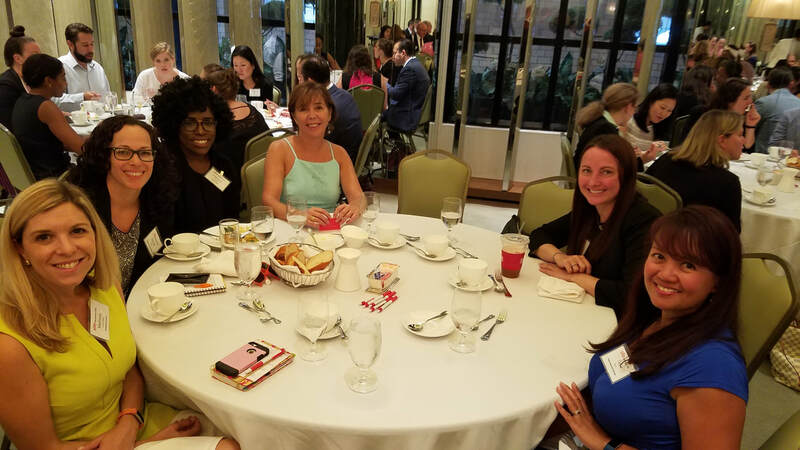 This educational session was full of both inspirational stories and practical & actionable tips on how being a connector can transform your personal and professional life. 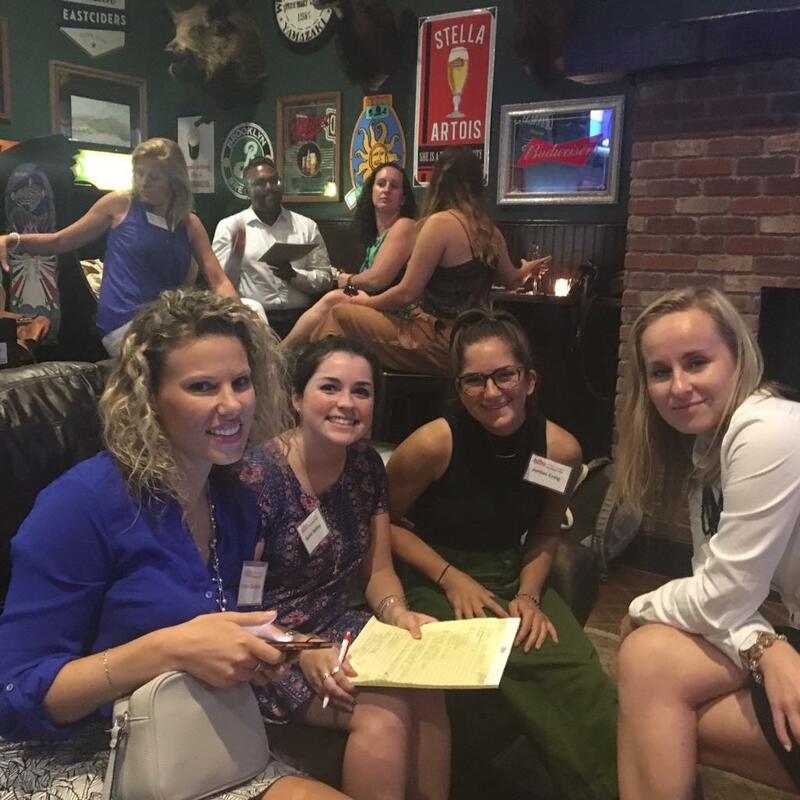 Whether you are new to business networking or are looking for tips to up your game, this session left guests with desire to help others achieve their goals and provided them with the steps on how to do it. Hunger is a GLOBAL issue, where one billion people around the world do not have enough to eat. Hunger hits home as well, where America has seen a rise of 43% in hunger over the last 5 years. 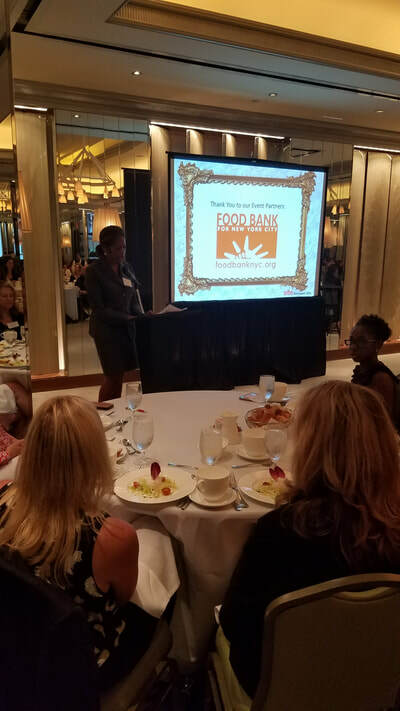 The outcome of this 90-minute program created awareness of food insecurity and worked to fight local hunger...while being creative, competitive, and having fun! Facilitated by our partners at Impact 4 Good, teams worked together to take part in a “human board game” in order to earn food items that were ultimately used to build a CAN-structure. Each $25 individual donation bought 15 cans of food which was donated to the St. Francis Food Pantries & Shelters. SITE Young Leaders SoHo Scavenger Hunt! Last week, more than 50 MICE professionals gathered at the offices of the Monaco Government Tourist Organization and Monte-Carlo Société des Bains de Mer to attend the Board Inauguration of the 2015 slate for the SITE New York chapter with the theme, ‘Flavors of Monaco’. The event was ‘flavored’ by the partnership of Oliviers & Co, with exclusive olive oil and balsamic tastings highlighting their products from the South of France. Well-known around the world, production of olive oil in the region accounts for more than two-thirds of that of the whole Monaco & France. 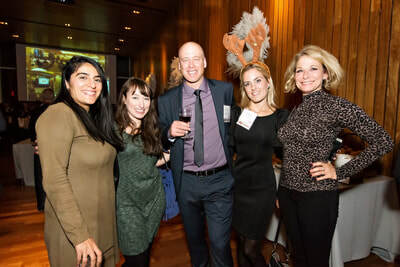 The evening was filled with partner networking as discussion surrounded an optimistic viewpoint of an increase in RFPs, higher room rates, increased revenue from hotel rooms and the overall demand in travel. 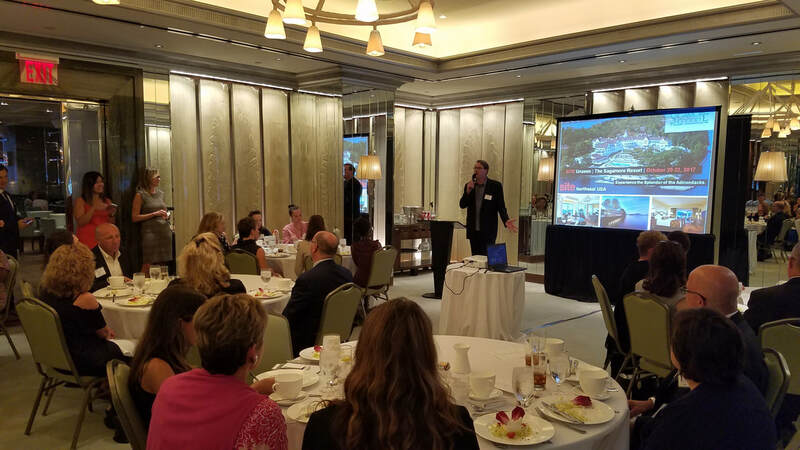 The Monaco Tourist Office also provided an unveiling of the recently released Peter Greenberg 360 featuring Monaco and was thrilled to share in this achievement with fellow DMC sponsors AlliedPRA & Lafayette Travel Monaco. 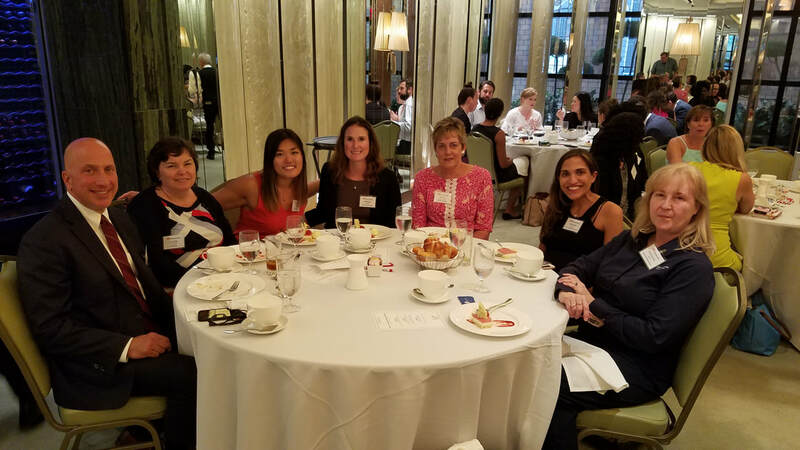 In an exclusive client event in partnership with Site NY Metro, Visit Flanders hosted their own Belgian Chocolate Workshop at the famous Neuhaus Chocolate Shop on Madison Avenue. 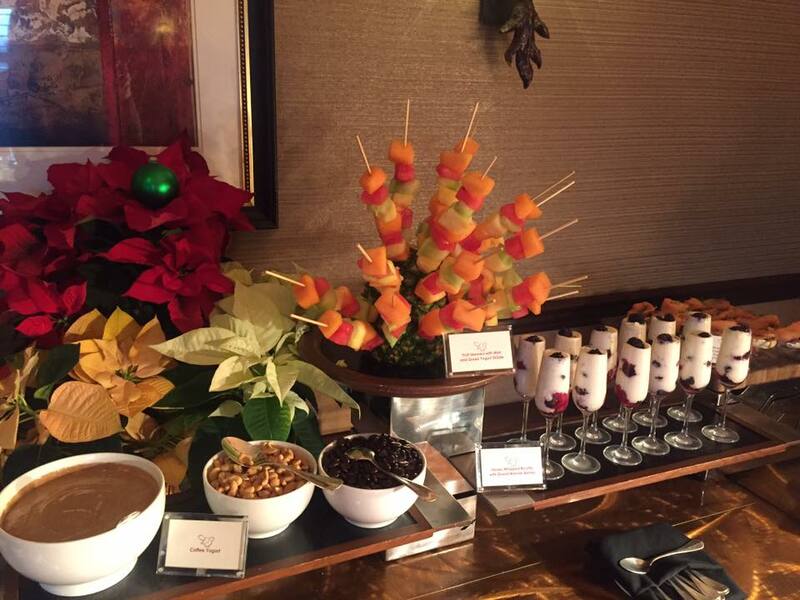 Guests took a royal journey through the history of chocolates and delicacies while sipping on fine wines. It was a sweet evening as guests networked among chocolate stations, and even had their hand in making their own deluxe chocolate masterpieces! 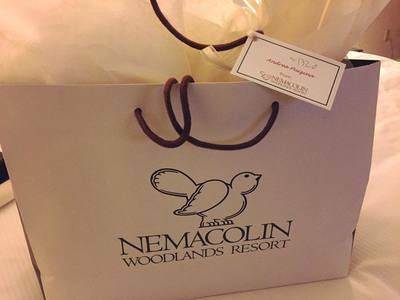 The evening ended with fabulous chocolate giveaways and luxurious gifts sponsored by Visit Flanders. 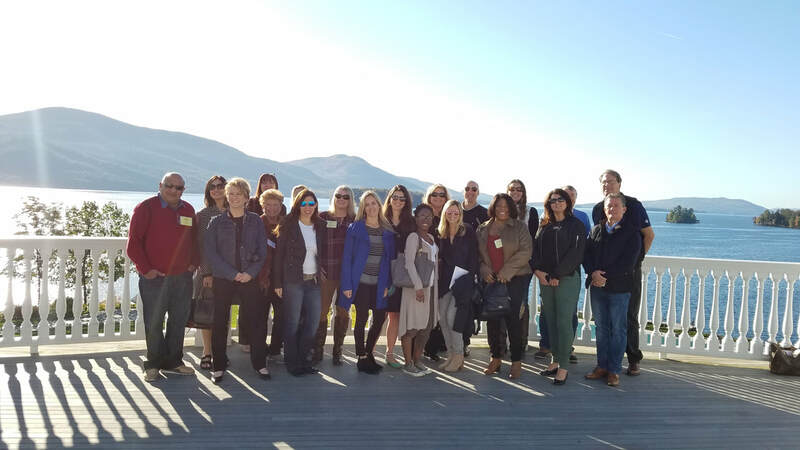 Over 25 incentive planners joined Site NY Metro for an exclusive networking event at Ocean Properties Ltd., Hotels & Resorts majestic Sagamore Resort on Lake George in the heart of New York's Adirondack Mountains. Privately situated on Bolton Landing, this Four Diamond Luxury retreat offers a true Incentive Destination just 3.5 hours from New York City. Many attendees checked in early to enjoy a scenic hike around the landing, take a dip at the indoor pool, use the fitness center, award winning spa, or blow off some steam in the indoor Rec Center playing Ping-Pong, Mini-Golf, Whiffle Ball, Basketball, or hit our Electronic Game Station. 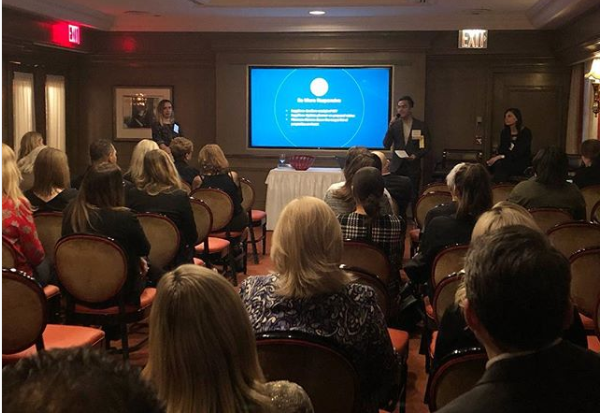 In our interactive session, guests gained an understanding of how top-level decision makers engage their Employees through Incentives, Recognition and Rewards. We learned how Engagement Strategies connect Employees and how it effects their organization and its customers. The event was facilitated by Bob Korin, VP Education SITE NY, and subject matter expert Susan Adams, Director of Engagement for Dittman Incentive Marketing. 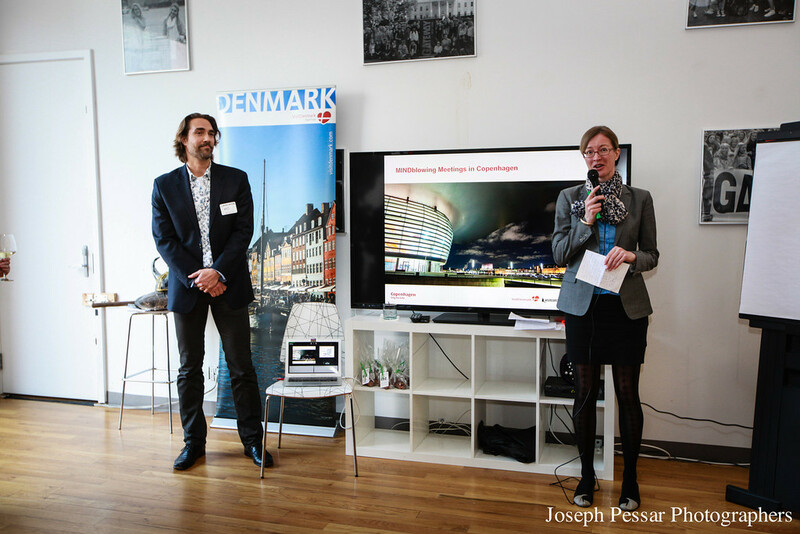 Each attendee utilized an Eventpad sponsored iPad which posed interactive questions, polls and surveys throughout the presentation and gave immediate results to engage our discussion. Attendees saw responses from their industry peers and asked their own questions in real time on the big screen! The CIS, Certified Incentive Specialist, is an entry level certification program from Site Global designed for Site members and non-members alike. Held at the esteemed Carlyle Hotel in New York City, attendees learned the fundamentals of incentives, the origins of incentive programs and incentive travel, the value chain, the value proposition of motivational programs and non-cash awards, the composition of the market, the makings of a program and a program budget, industry tools and platforms and other valuable information. 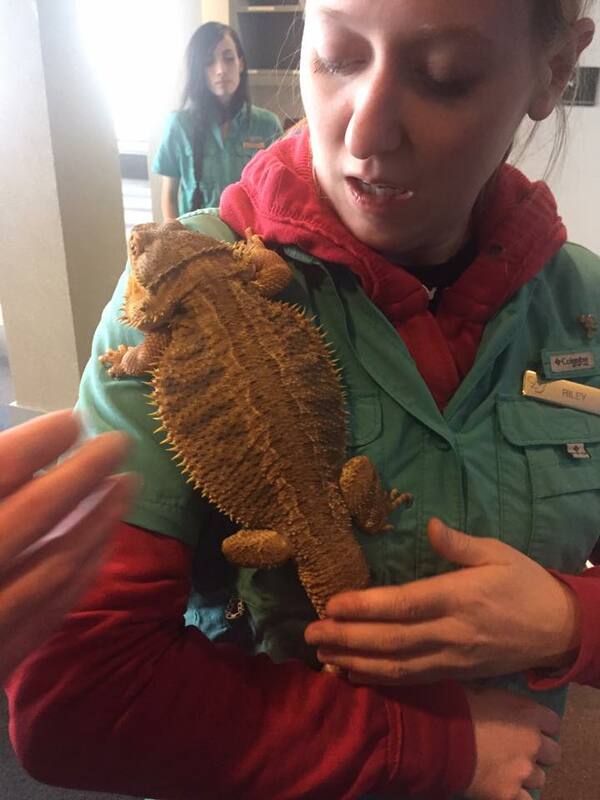 CIS provided attendees with elements to reach higher standards of education and industry best practice. Sip with Site... On a Wine Tasting Flight! 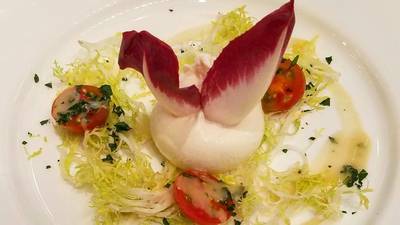 Located in a landmark building in the famed Rittenhouse Square neighborhood, The Latham Hotel is home to one of the most distinctive restaurants in Philadelphia: Urban Enoteca. 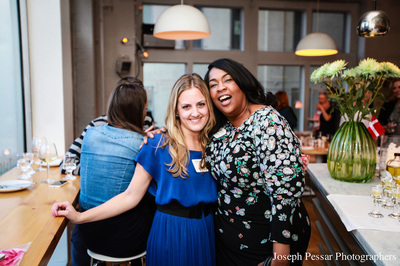 This chic neighborhood restaurant hosted our first 'Sip with Site' event. Guests got to nosh and network with Urban Enoteca’s Italian-inspired small plates and antipasti which were perfectly designed for sharing. 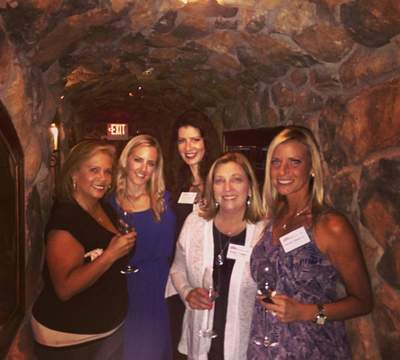 The highlight of the night was an exclusive wine tasting class with a sampling of 5 different wines! Site Young Leaders take on the Subway Series! 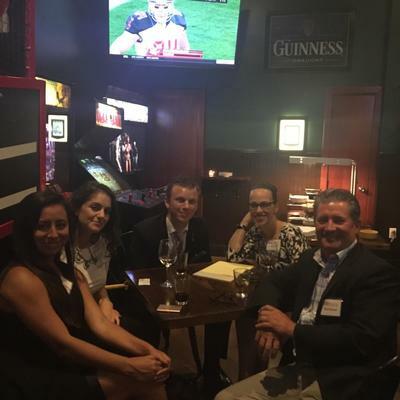 Over 30 Site New York Young Leaders gathered for a night under the lights at Citifield! On May 25th, Site members networked with industry peers while cheering on their favorite hometown team. In the biggest rivalry in New York City, the Yankees took on the Mets at the annual Subway Series - it was a fight to the end! Over 50 attendees joined Site NY Metro for an exciting night of MINDblowing fun and education at Aamanns Restaurant in Tribeca. 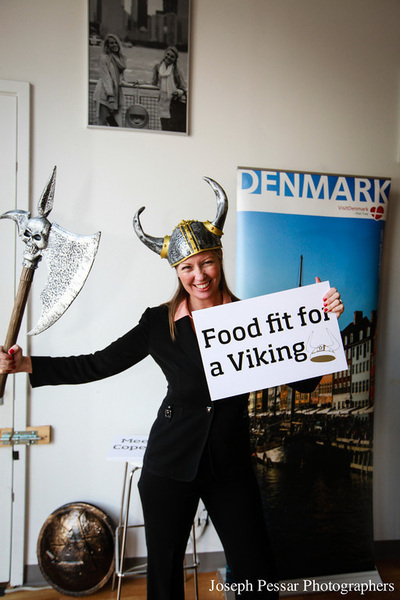 During this SOLD OUT interactive workshop guests ate and drank like a Viking and gained experience on the cutting edge "Meetovation" concept: A unique, interactive program that delivers better, more fun and creative events for your customers using the Meetovation principles. The night was full of creative hands-on cooking, great networking, and imaginative learning! 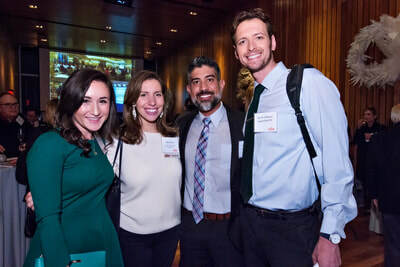 New York Cares is now the city's largest volunteer management organization, running volunteer programs for 1,300 nonprofits, city agencies, and public schools. SITE NY is happy to announce the ongoing partnership and the opportunity to take part in New York City's biggest spring-cleaning event by joining more than 4,000 volunteers as we get our hands dirty in parks, community gardens and public spaces throughout the city. Members and Non Members alike joined the SITE NY Chapter to give back to the community. SITE NY's ongoing partnership with New York Cares allowed us to take part in New York City's biggest spring-cleaning event by joining more than 4,000 volunteers as we got our hands dirty at Riverside Park. The day was fun and energized and we got to help clean up our city parks! Guests joined Site NY Metro for an exclusive educational session on the state of the incentive industry... Who’s Buying? Who’s Selling? And Where does the Participant Fit In? 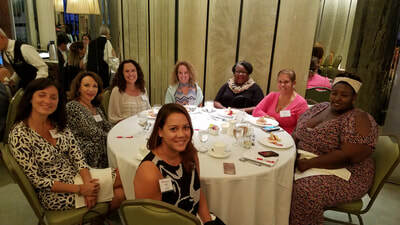 As a leading expert in the field of Incentive Travel and Employee Motivation, Dr. Scott Jeffrey of Monmouth University shared research highlights and trends from the 2013 annual SITE “Purchasing Motivational Travel” as well as key findings from recent research on Incentive Travel from the participant’s point of view. 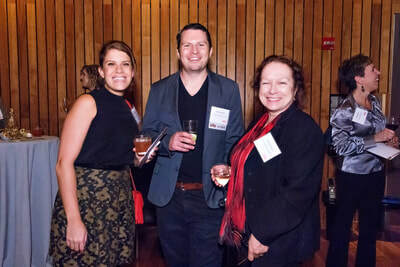 Our Giving thanks with Site NY Metro event brought together colleagues throughout the incentive and travel industry for a night of networking and noshing on Pre-Thanksgiving treats including Turkey Sliders and Squash & Goat Cheese Flatbread, paired with a delectable Pumpkin Spice cocktail and a great selection of wines. The event was held at Bar Nana, a brand new event space located on Gansevoort Street in the Meatpacking District, whose eclectic design is perfectly suited for private events. 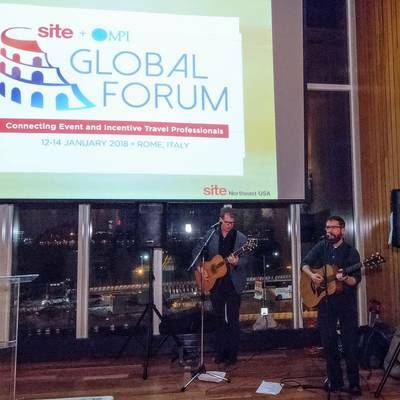 GMITE Meets: Site NY Metro united East Coast meeting, event and incentive travel planners with global suppliers at the pulse of worldwide collaboration- New York City. 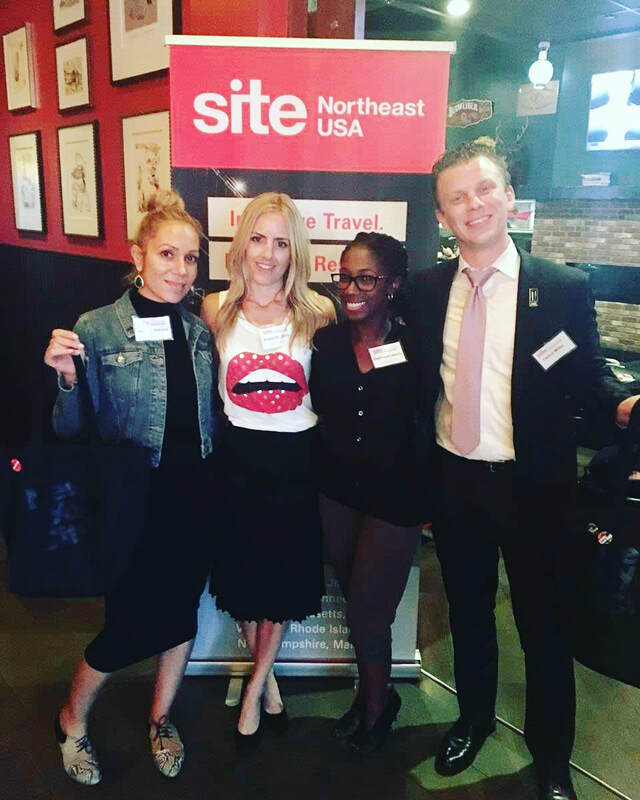 Hosted by Site NY Metro, Laila Pawlak, founder of the network organization DARE2 located in Copenhagen, spearheaded the education session at the GMITE Meets event during which she educated attendees on LEGO Serious Play. This initiative uses the classic children’s building blocks to help teams work together and to encourage individual expression in a physical format. Attendees of this inaugural event benefited from focused, productive interaction indicative of the GMITE format, which connects qualified buyers and travel suppliers for seamless business exchange and opportune networking. Our education session was led by Izzy Gesell, MS Ed, CSP, an "organizational alchemist" who helps individuals and organizations transform their thinking from commonplace to extraordinary. Through Improv exercises and facilitated discussion, SITE members will learn the skills and techniques used in Improv to enhance ability to think on their feet, generate ideas, incorporate changes with quick ease and communicate more effectively & convincingly. A makeup artist will be on hand to prepare you for your own complimentary professional headshots taken by New York Photographer, Vivian Babuts. Co Facilitated by SITE NY member and Program Chair, Bob Korin, Director National Accounts for Hilton Waikoloa , Hilton Hotels of Hawaii. SITE NY Metro once again united with New York Cares and joining forces with more than 4,000 volunteers to clean up parks, community gardens, and public spaces throughout the city. We spent the day outside, bonding with fellow SITE members and to give back to the local community. This spring we were assigned to Gantry Plaza State Park, where we rolled up our sleeves and tackled the green spaces and waged war on the dandelions! A great time was held by all and thank you to our SITE NY Metro team volunteers for participating. Remember that this is a twice a year effort for the group and we will be involved in a fall initiative as well. 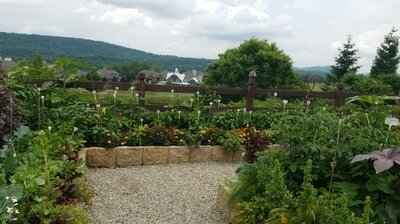 Discover a new park while making a real difference in our community. 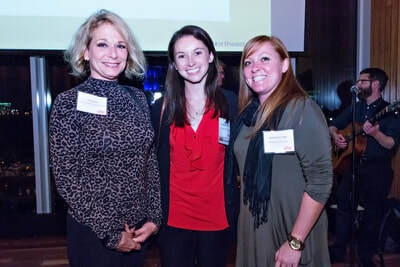 Site New York's first networking event of the year, Diamonds In the Sky Board Installation, was held at the Flanders House in Times Square. 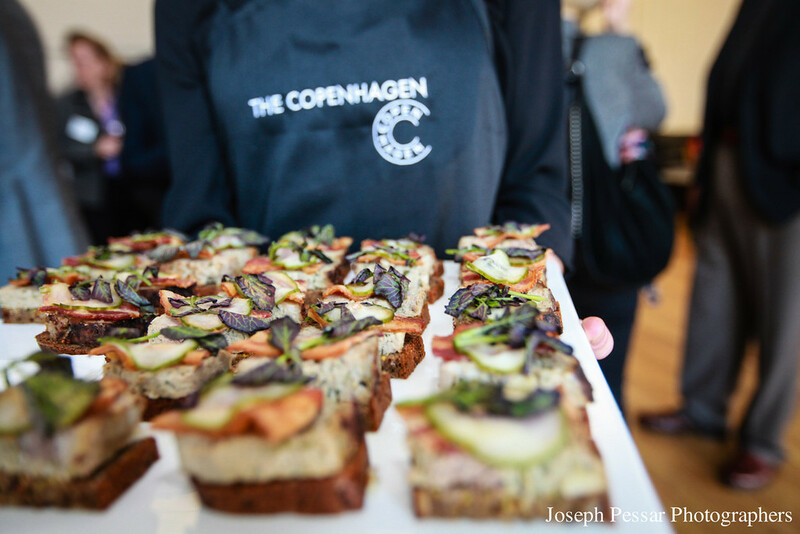 Offering floor to ceiling views of the city skyline, attendees dined on nibbles from renowned Belgian caterer Petite Abeille. 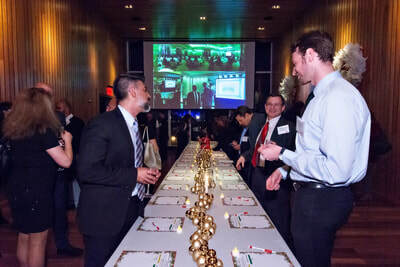 Showcased were delights including delectable steak tartar burgers and a Belgian favorite, Stella Artois. We attracted over 50 attendees with their eye on the ultimate prize – a diamond retailed at $4,000!